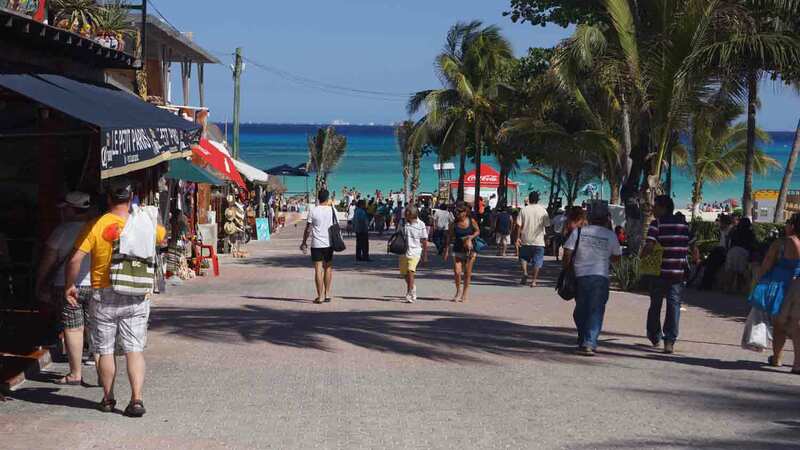 I knew, from the moment that I arrived in Playa Del Carmen…There was something different about this city. It had both character and class. Most cities in Mexico don’t. There were so many amazing things to see and do. Absolutely unbelievable. I was completely blown away! This website was born out of a deep lust to explore this city and share all that I have learned with you. I’m not a travel agent. Nor do I work for a travel agency. I wasn’t paid to write the information you will find in these pages. 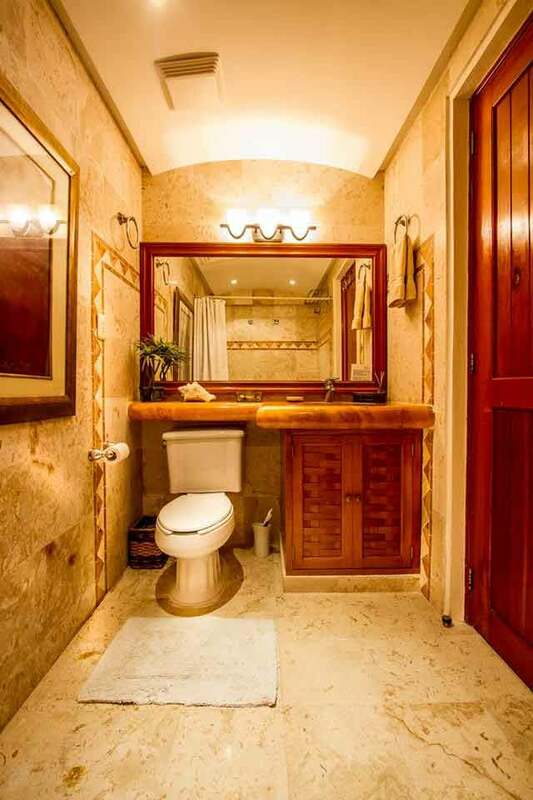 I’m a real person with a real life here in Playa Del Carmen. Playa Del Carmen’s mouth watering food – and the best restaurants that you can visit to thoroughly enjoy it. This includes a Mexican food glossary so that you sound like you know what you’re talking about in the restaurants you visit. 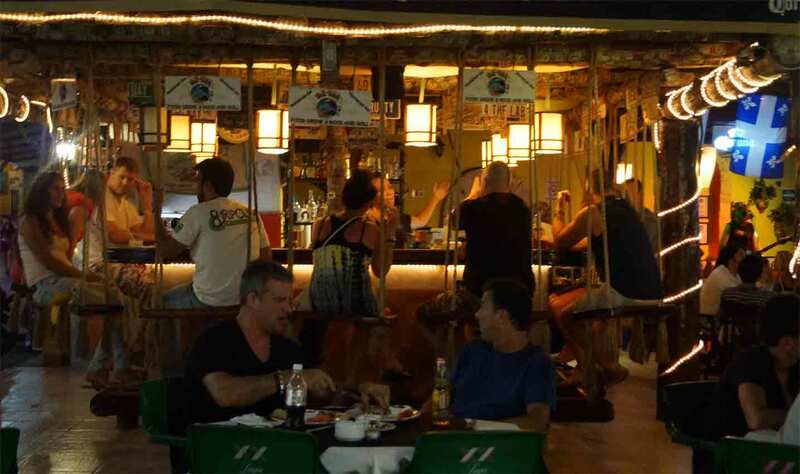 The best activities, beaches, and nightlife in this city and my recommendations of some of the best bars and nightclubs of Playa Del Carmen. You can even learn about getting a tattoo if you’re so inclined. 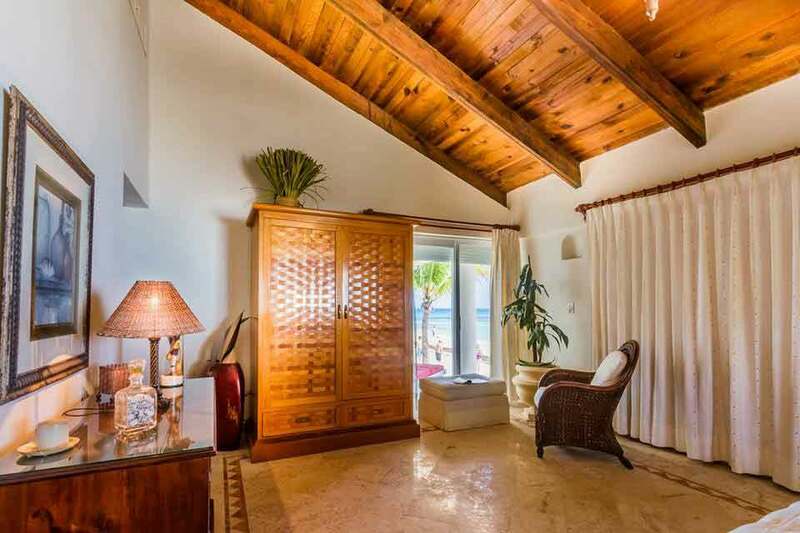 My choice of the best hotels & resorts – and even a page written for budget hotels if you want to save your money for activities here. 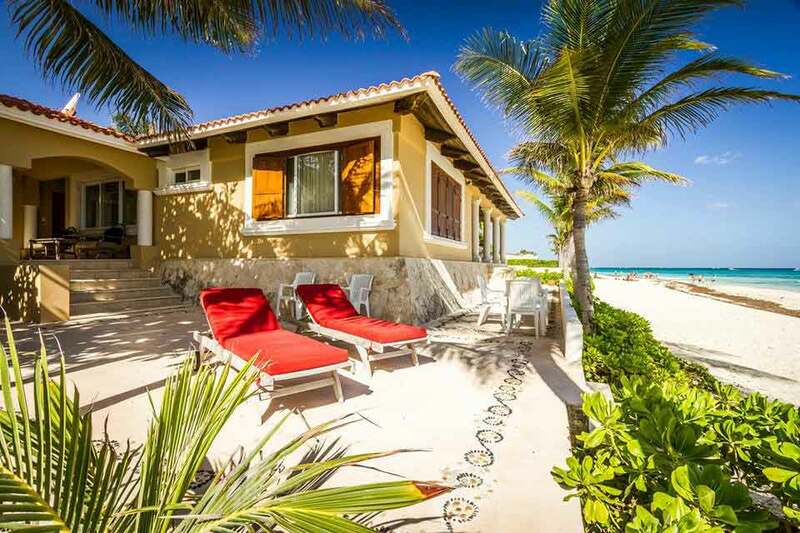 Getting married in Playa Del Carmen–with a list of many romantic things to do here. Who is the best wedding planner, wedding photographer, etc. 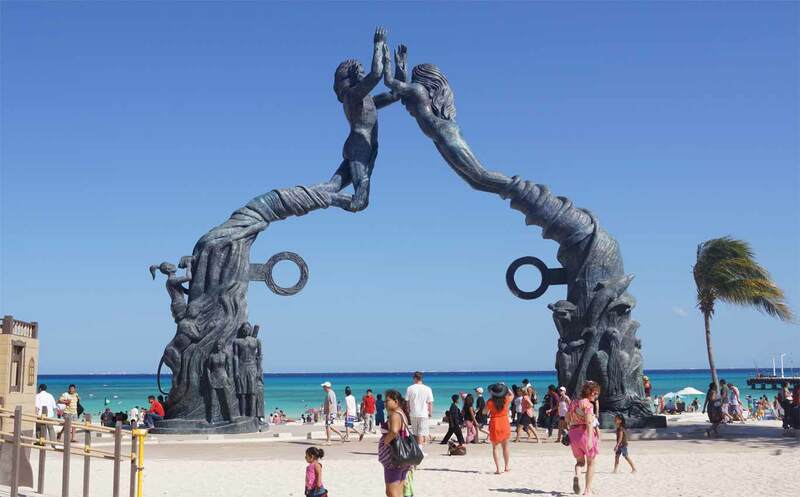 in this city..
Last but not least, thousands of photos that will help you get a feel for Playa Del Carmen’s general atmosphere and offerings. 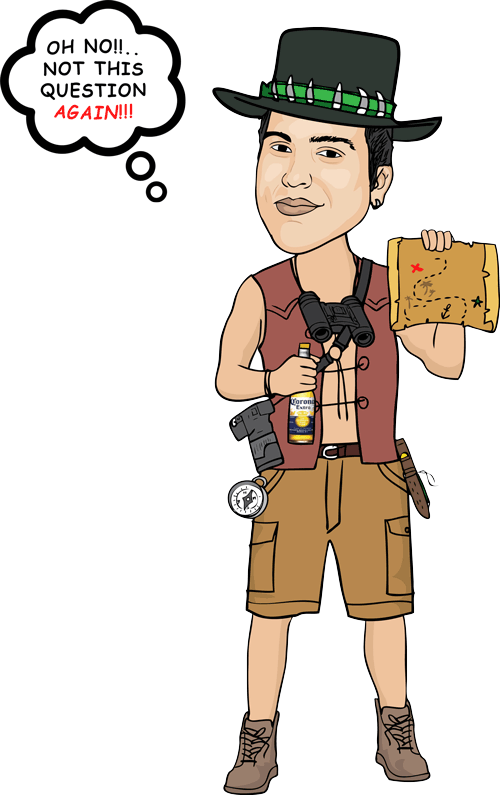 You can even submit your own pictures and stories about your visit here. If you want to get really excited about your trip here, I strongly suggest that you watch the video below. Of all the Playa Del Carmen videos floating around YouTube, it is by far my favorite. I’ve probably watched the video a hundred times myself as I was planning for my move here. It is professionally made, captures the essence of this city, and will likely answer some of the questions that you have about your vacation. 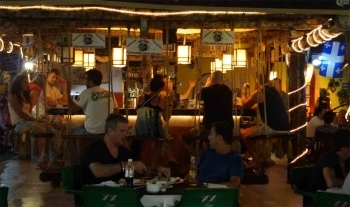 Yesterday I stopped by Alive Bar, a cool little hangout that’s become popular with expats who visit here. The place was pretty busy, and I happened to bump in to my good friend, Lisa. Lisa is a really fun person who I met through another friend around six months ago. 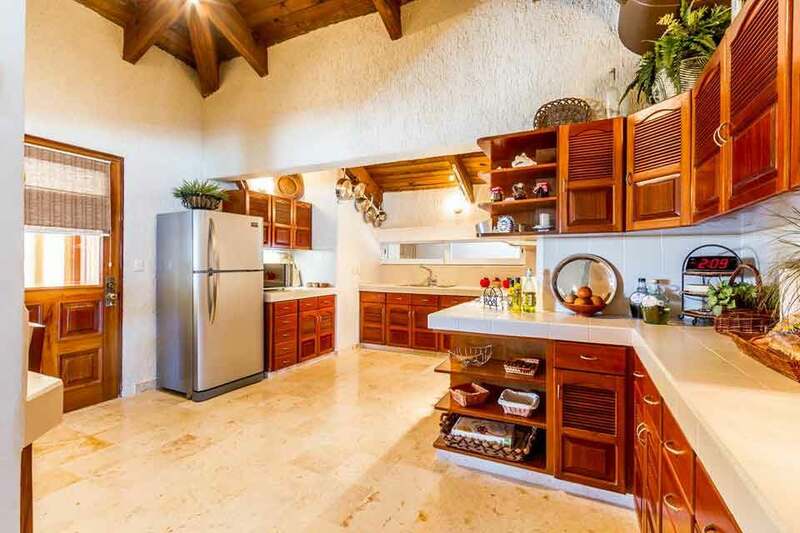 In addition to embodying the perfect carefree Caribbean mindset, she lives in one of the most beautiful houses that I’ve ever seen in my life. If you know anything about Playa Del Carmen, you probably know that Playacar is the most “soho” area in all the city. 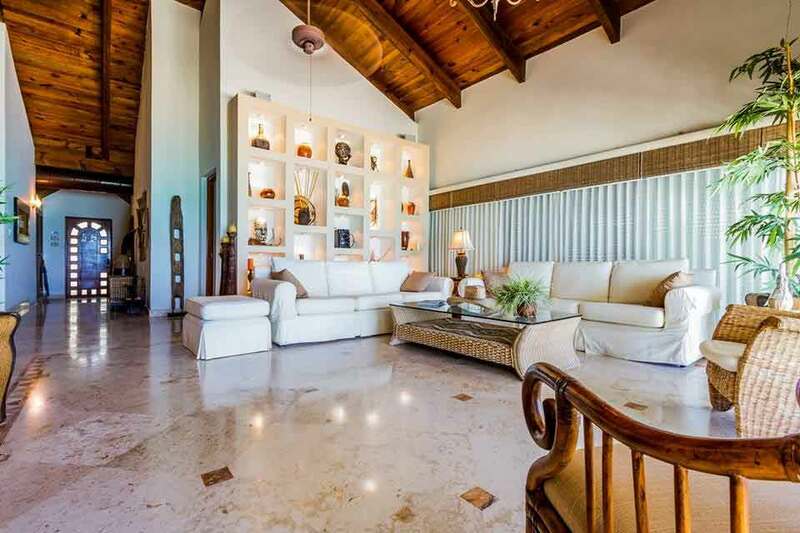 It is to Playa Del Carmen what Beverly Hills is to Hollywood. 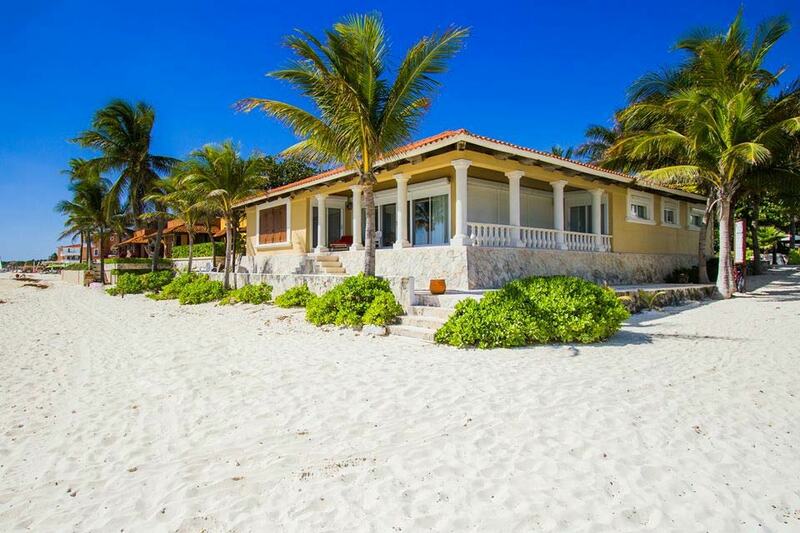 Well, Lisa’s house is located ON THE BEACH in Playacar. 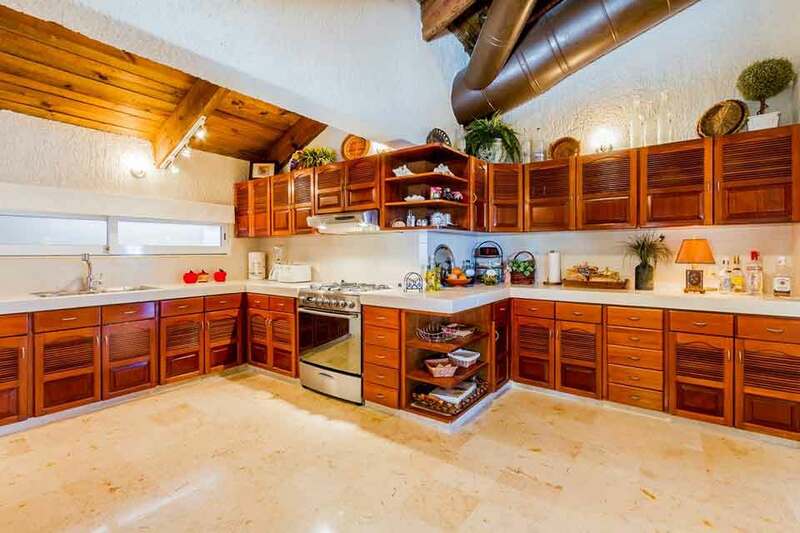 Needless to say, it’s a multi-million dollar property. 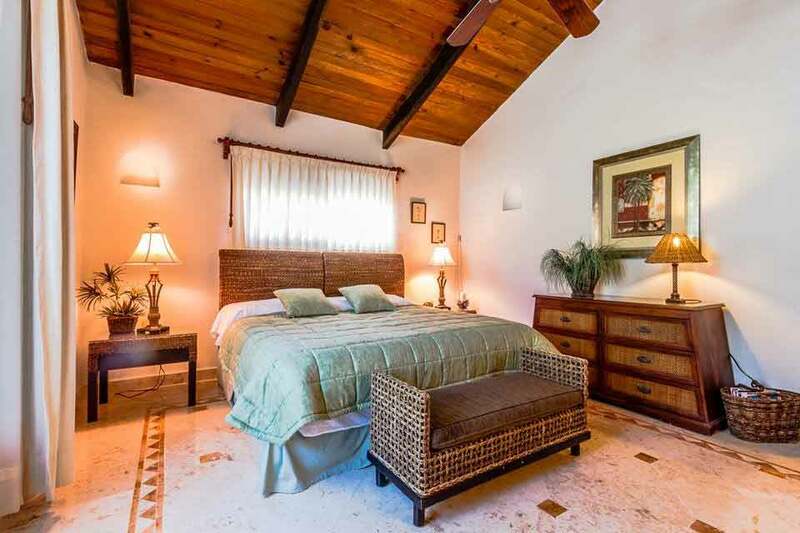 Thus, when she mentioned she is now offering her house as a vacation rental, my ears perked up. However, when she told me the price–my jaw nearly dropped to the floor. 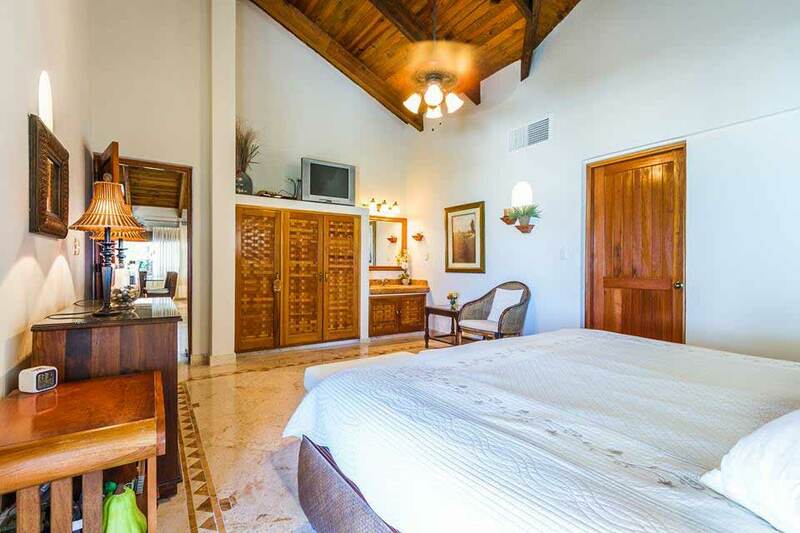 Not surprisingly, I get a lot of questions every day from visitors asking about where to stay, so I thought I would post her property here. 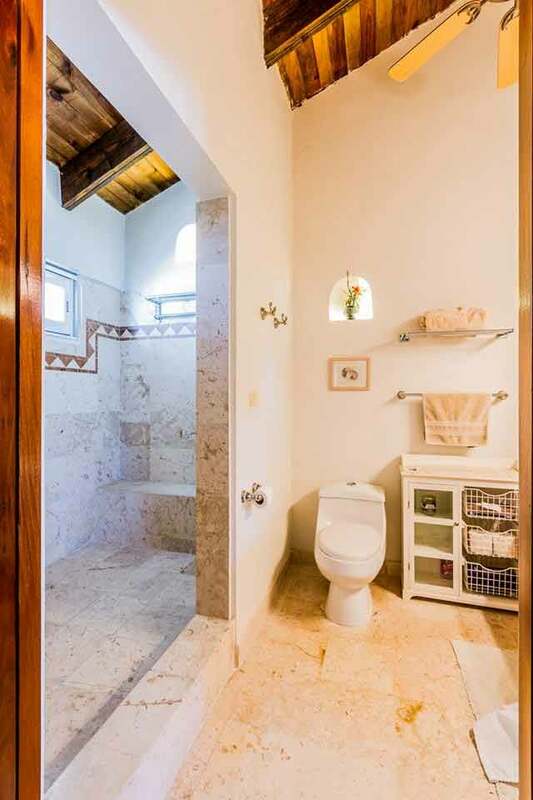 I still think she’s lost her mind, but this vacation rental is a really great deal on an amazing house (at Lisa’s expense). 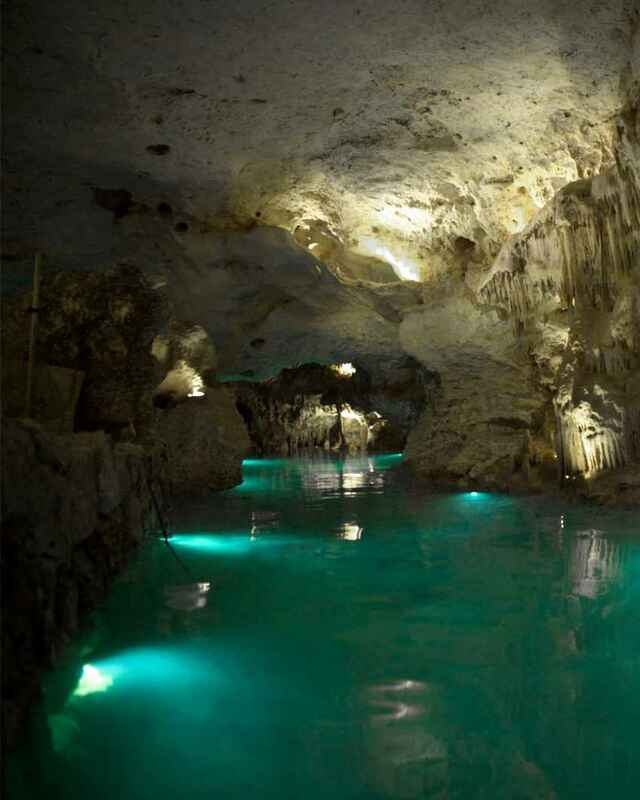 The pictures you see below don’t do this place justice, but take a look at them anyways. 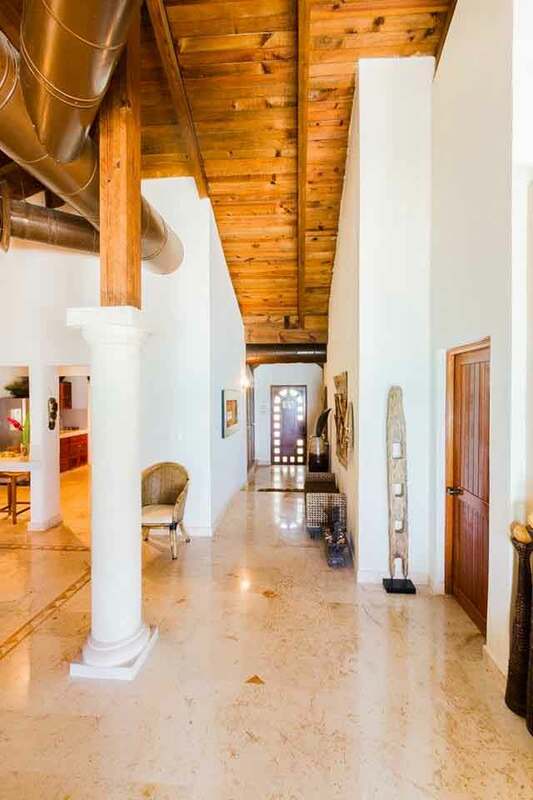 If you’re interested in renting it, fill out the form below and Lisa will get back to you ASAP. 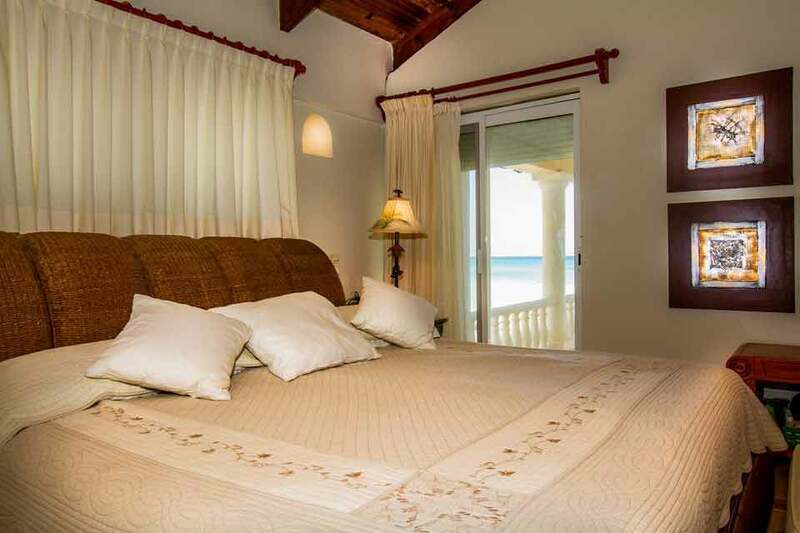 Despite the fact that I know many of you are traveling on different dates and staying for different durations, the truth is that you have hundreds (or even thousands) of options to choose from. You need to plan BEFORE you arrive. If you don’t have a plan, you’re going to waste your time at tour seller offices negotiating package discounts and hearing boring stories about activities you’re likely not interested in. Unless you’re an impoverished street beggar, spending two hours of your absolutely precious vacation time at offices is not only ludicrous – it’s insane. 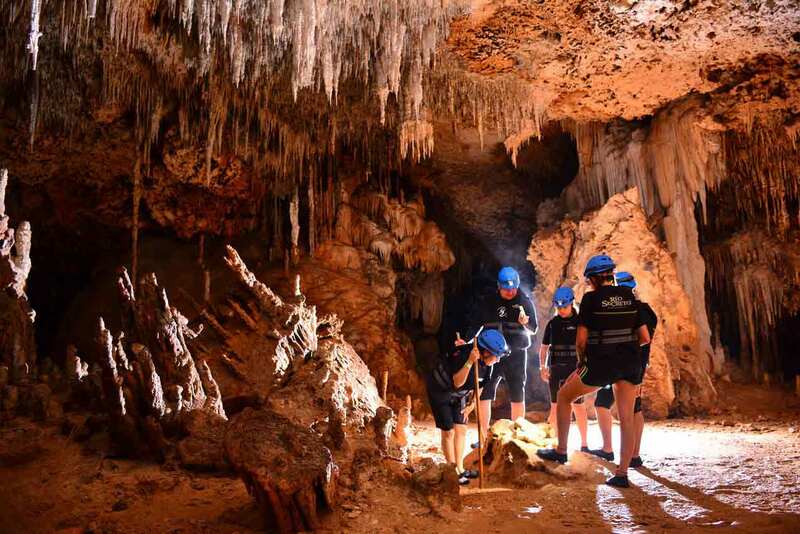 Luckily, and for all practical purposes – nearly all the activities here are quite fun! 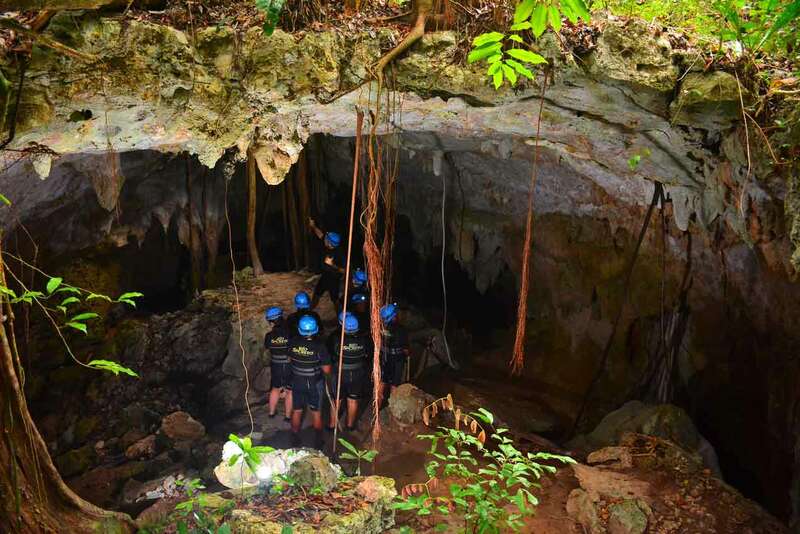 BUT – and this is important – most activities you can do here can also be done in Miami, the Bahamas, the Philippines, and other parts of the world. 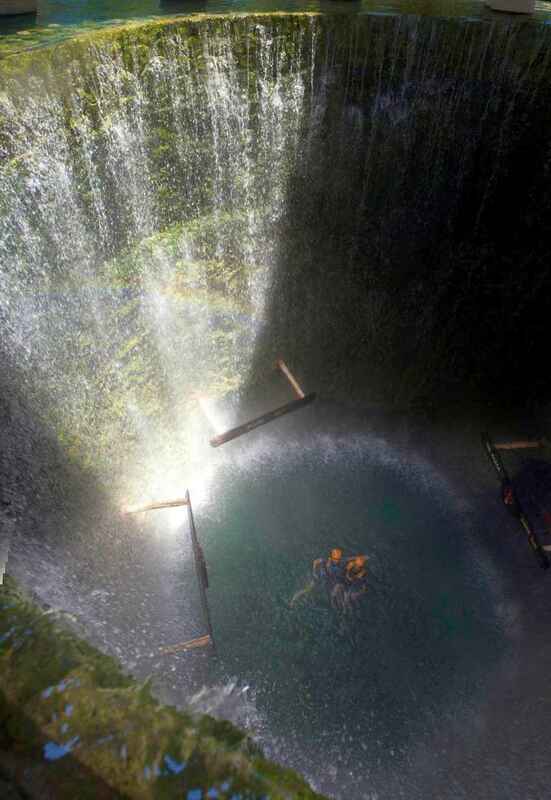 Like most tourist destinations, some activities here are very unique; others are not. My point is this: you really need to take advantage of the activities that are UNIQUE TO THIS PARTICULAR AREA before thinking about anything else. 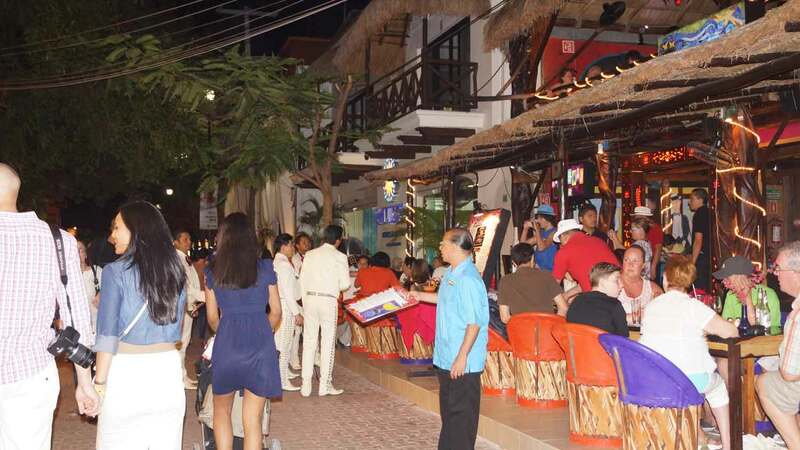 This really narrows things down a lot and gets to the essence of why you chose Playa Del Carmen in the first place. So, instead of trying to answer the first question, let me take a shot at the second. 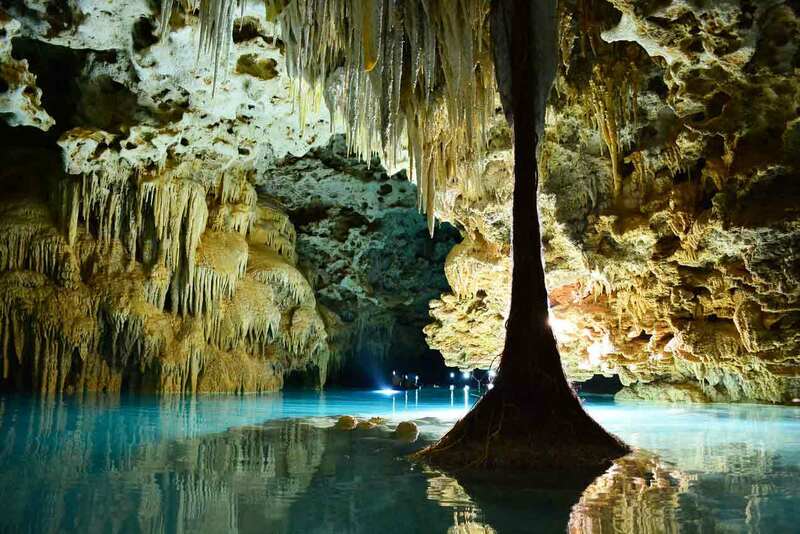 Cenotes – Cenotes are sinkholes where the ground has given way and the water below is exposed and accessible. 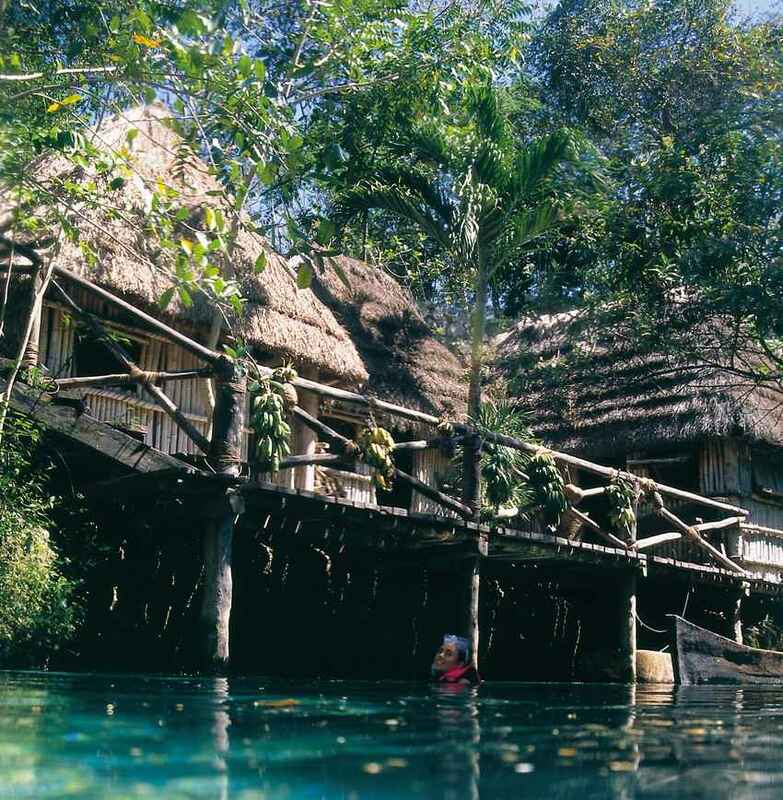 They are cool, refreshing, and usually surrounded by lush jungle, large rocks, and lots of wildlife. 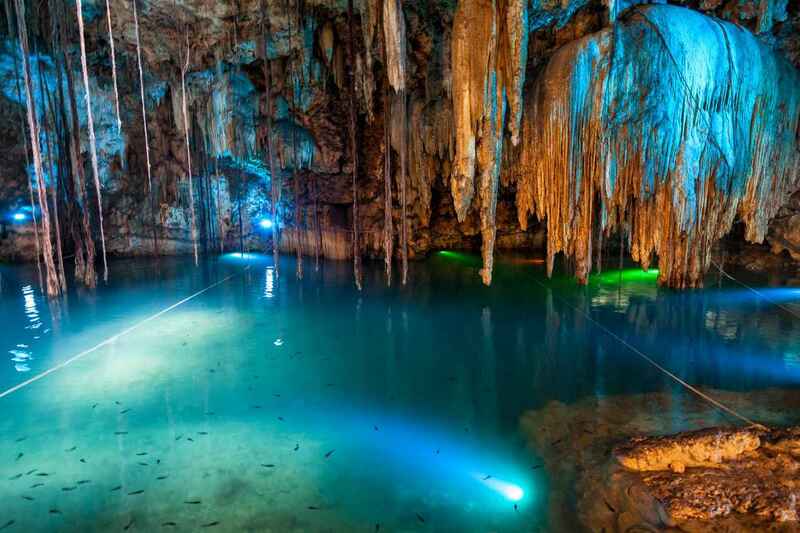 They look like something out of a Tarzan movie set with clear emerald or blue water. 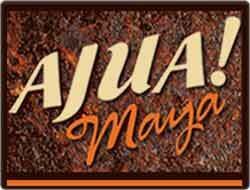 They are very sacred to the Mayan people. 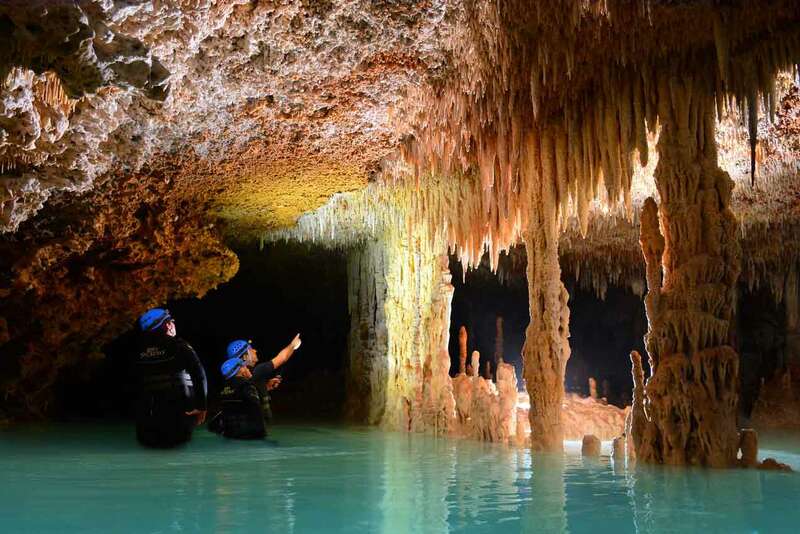 The Mayans considered them portals to the underworld due to their physical connection to the underground cave and watershed system. 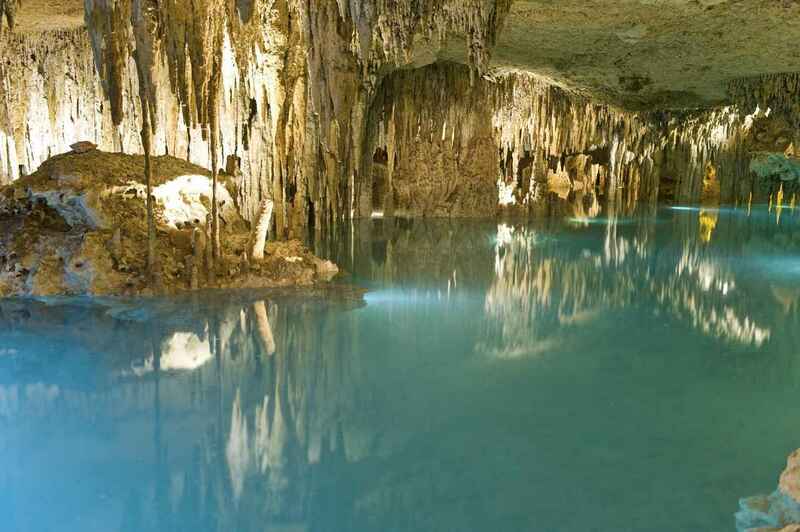 Seeing and swimming in at least one cenote during your trip here is an absolute must do. 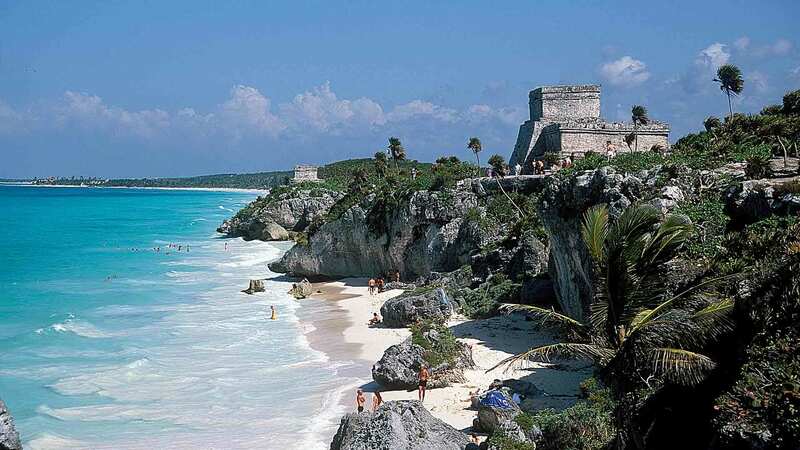 Mayan Ruins – Playa Del Carmen and the surrounding Riviera Maya hosts some of the most coveted ancient Mayan structures in the western hemisphere. 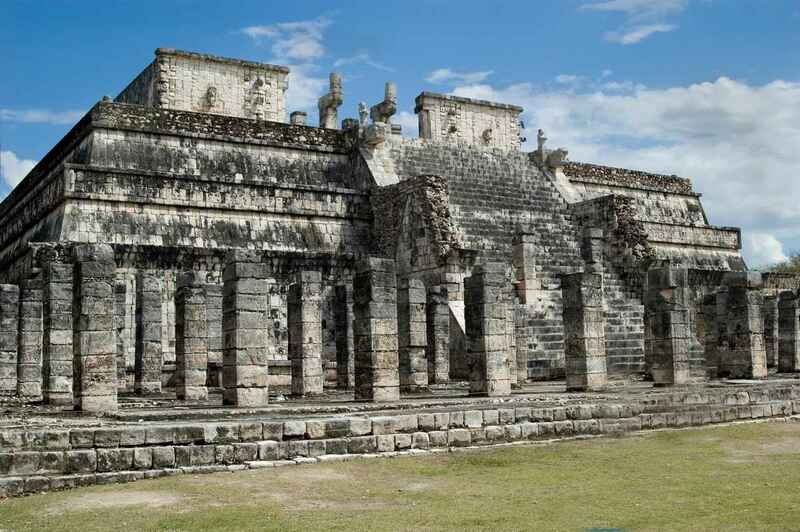 Moreover, while the intact structures are amazing, the history behind them is even more intriguing. 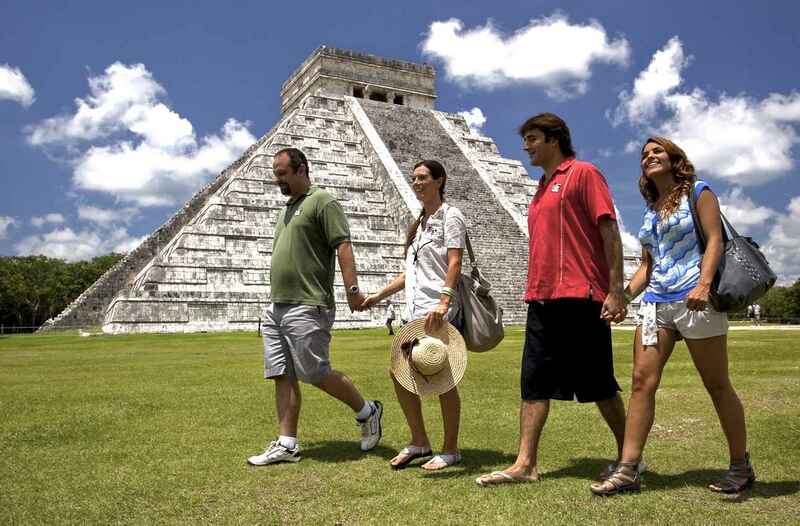 Witnessing at least one of the major Mayan ruins during your trip here is a must do for all travelers. 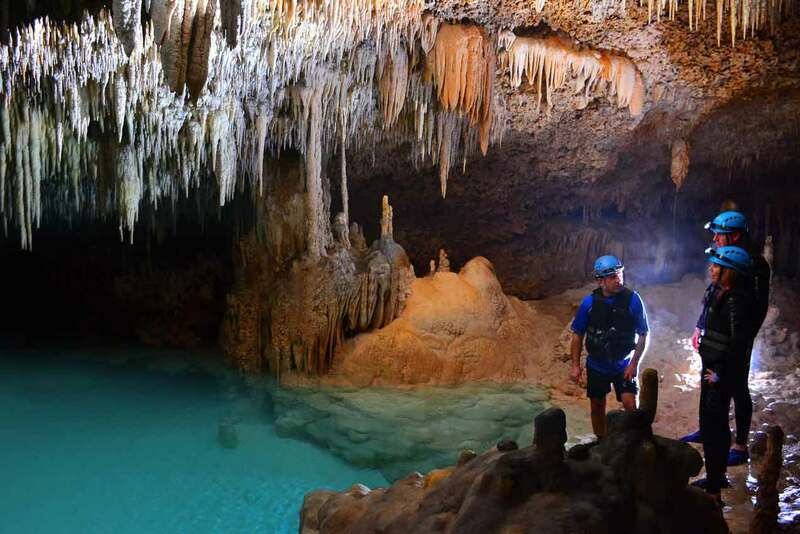 Underground Pools/Cave Systems – Although the area surrounding Playa Del Carmen is covered with jungle, there is a rich and diverse underground cave system here that is invisible from above ground. 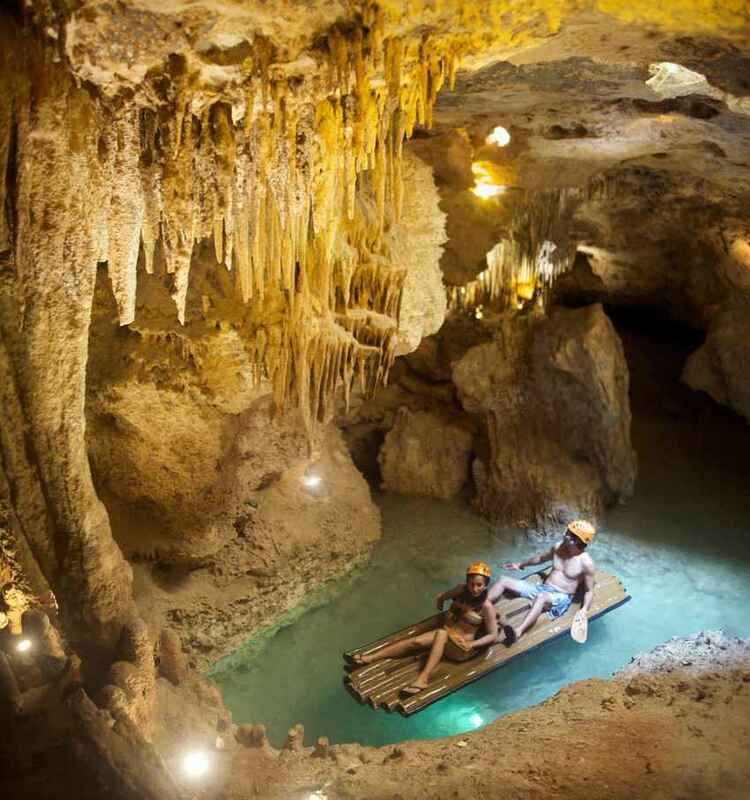 The caverns and underground pools are not only breathtaking, but host stalactite and stalagmite structures that are hundreds of thousands of years old. 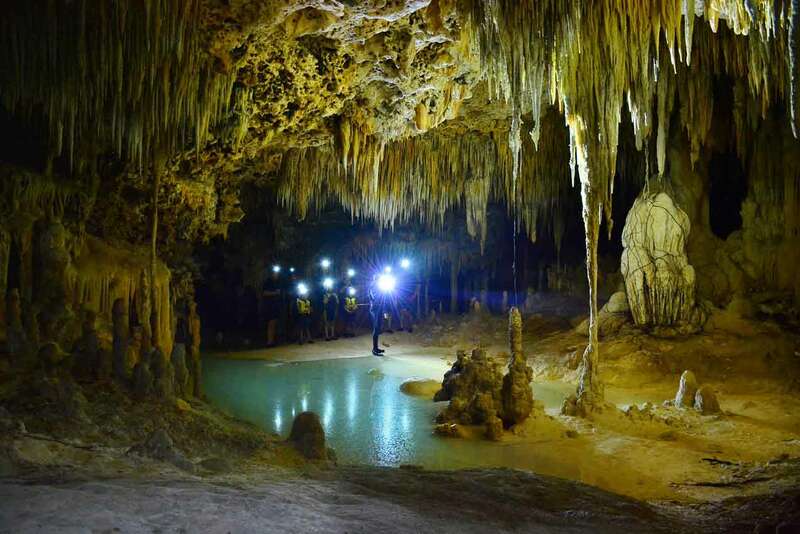 Experiencing at least one of these large, well-lit caverns is a must do while visiting the area. 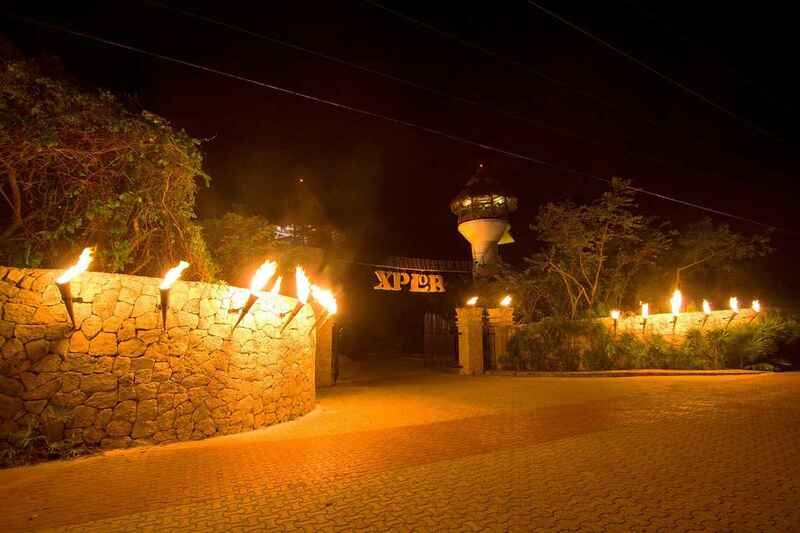 X-Parks – The X-Parks (as they are commonly called here) are a chain of eco-friendly theme parks designed to host modern and fun activities while still leaving as much of the natural habitat still intact. 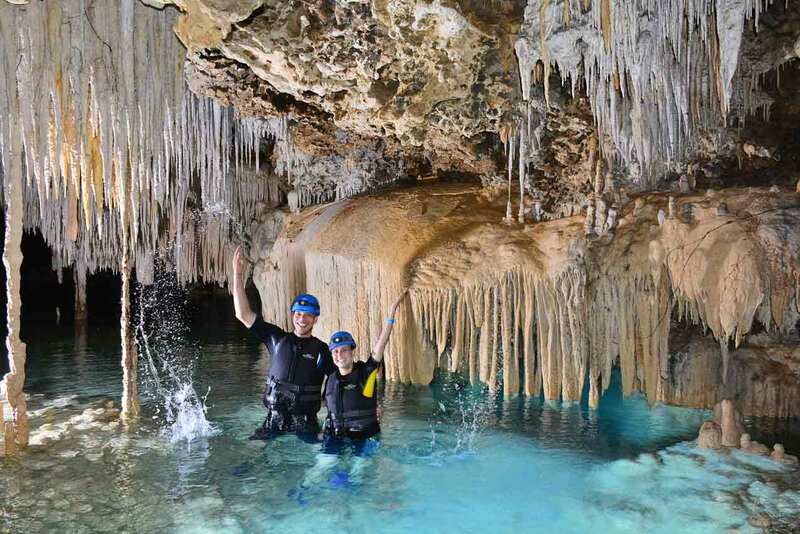 From zip-lining to outdoor zoos to gigantic natural aquariums, they are very unique to the area and a must do for all visitors. 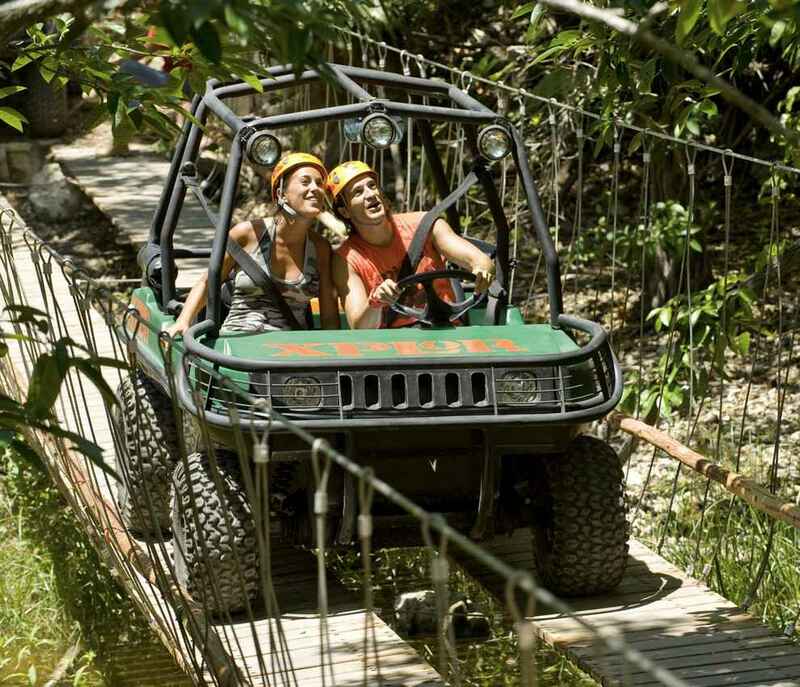 Visiting at least one of the X-Parks is a must do for all Riviera Maya travelers. 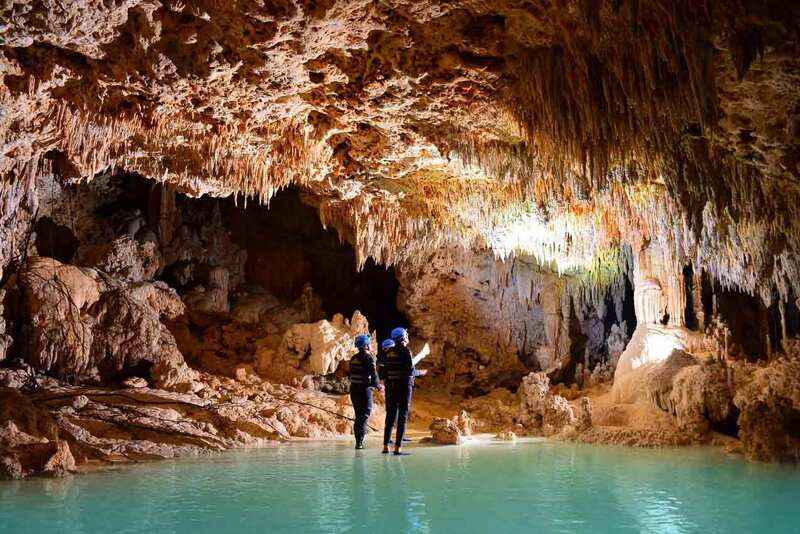 Only AFTER you have explored these, should you look for other activities. 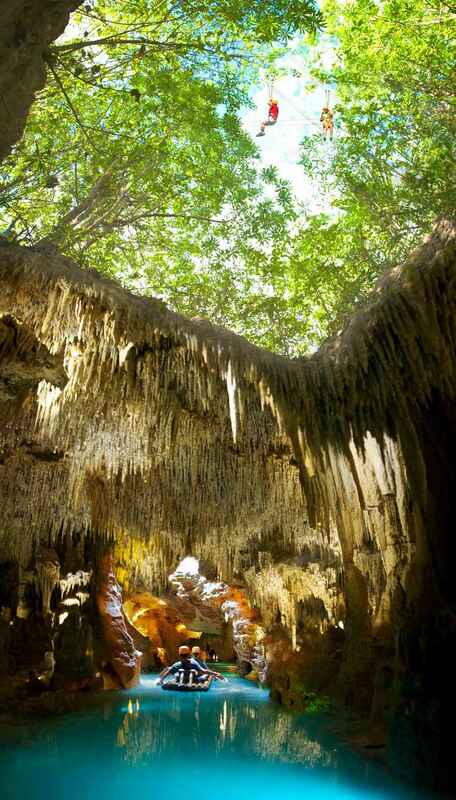 Inside a cenote with amazing artificial lighting. 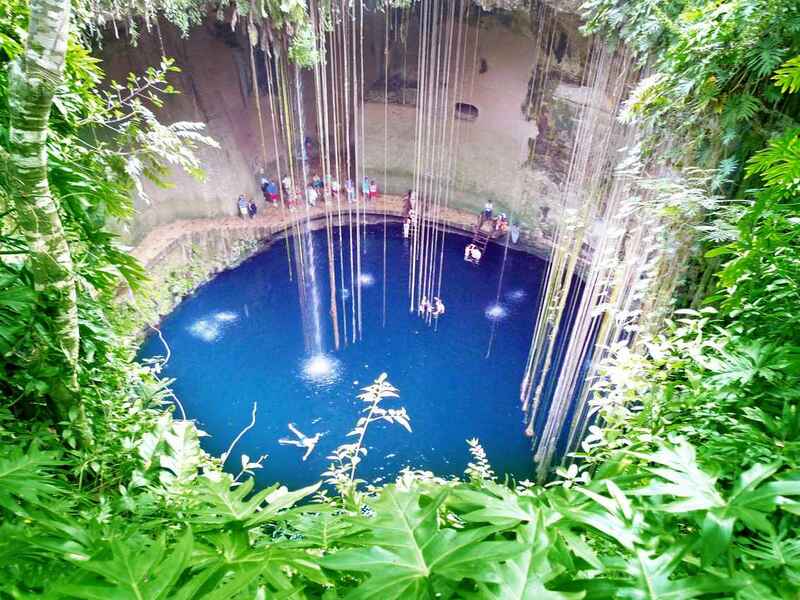 The Blue Sacred Cenote near Playa Del Carmen. 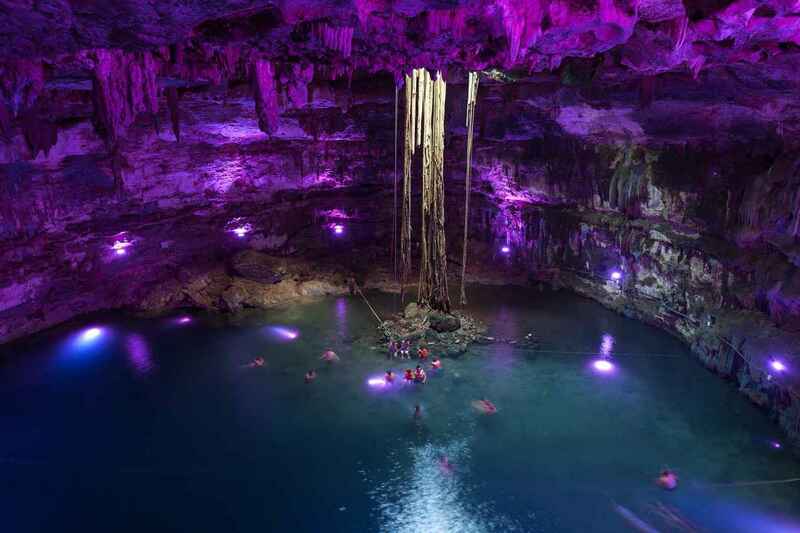 A view of the brightly colored lights and several fish swimming inside a cenote cavern. 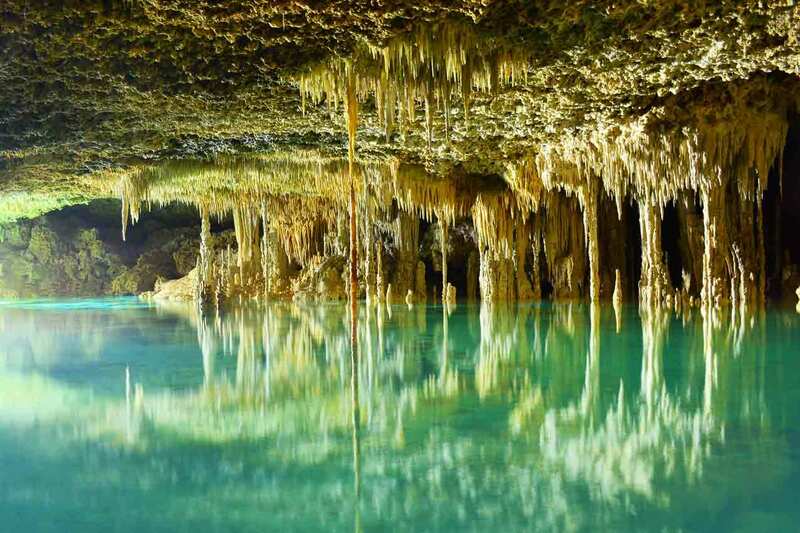 A view of a cenote near Playa Del Carmen from the inside. 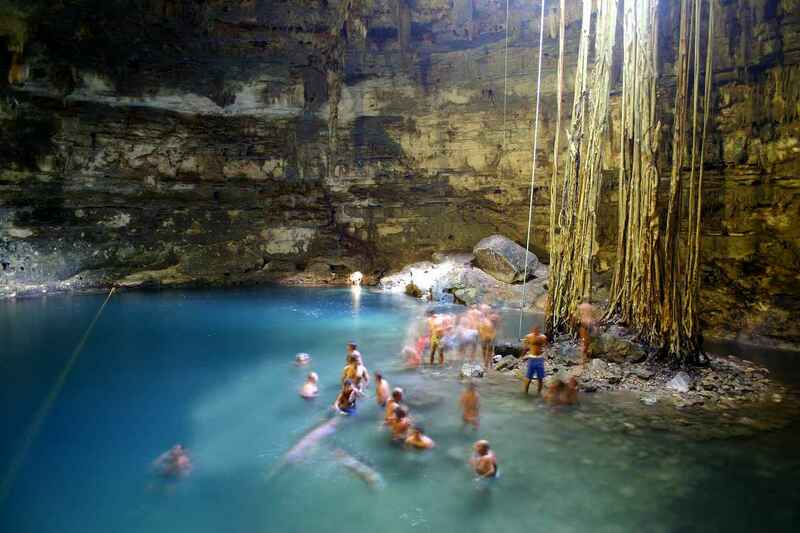 Several people jumping from the "Cliff of Courage" above a local cenote. 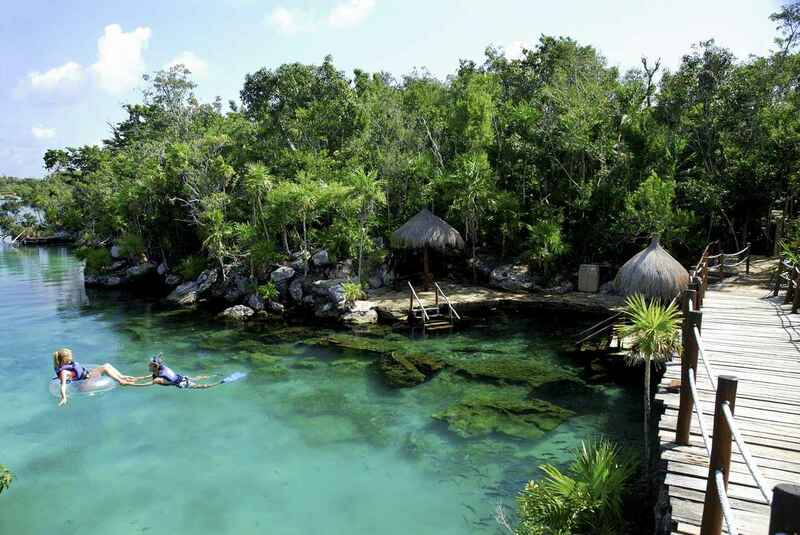 Several walking trails that surround one of the local cenotes. 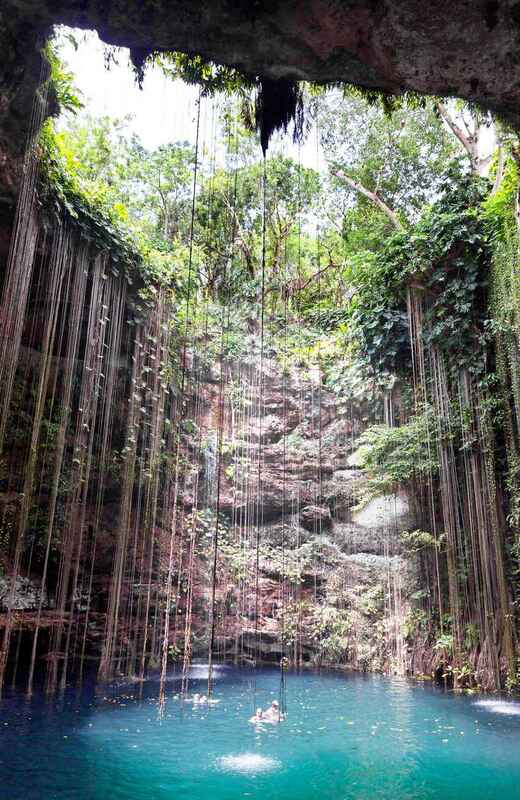 Water falling from the top sides of the ground into a cenote. A cute woman in a bikini jumping off the "Cliff of Courage." 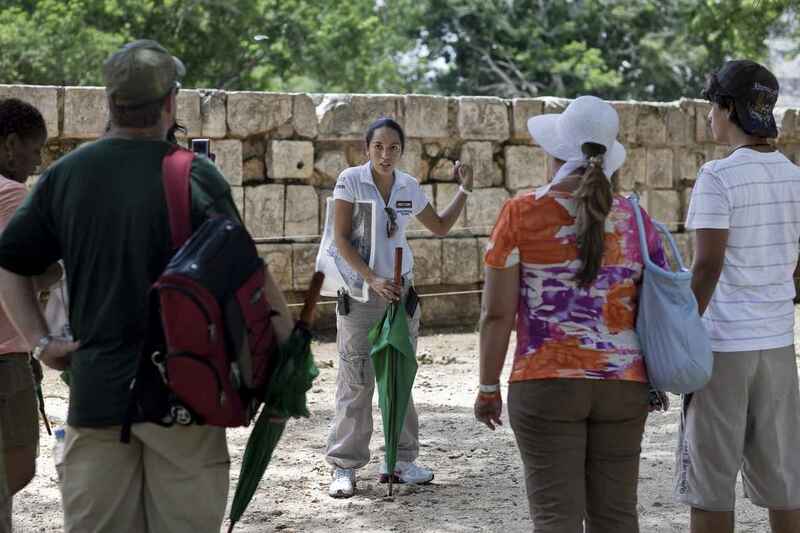 A Chichen Itza tour guide explaining the history of the Mayan ruins. 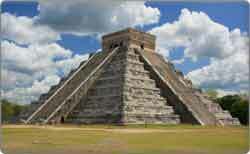 The El Castillo Mayan pyramid. 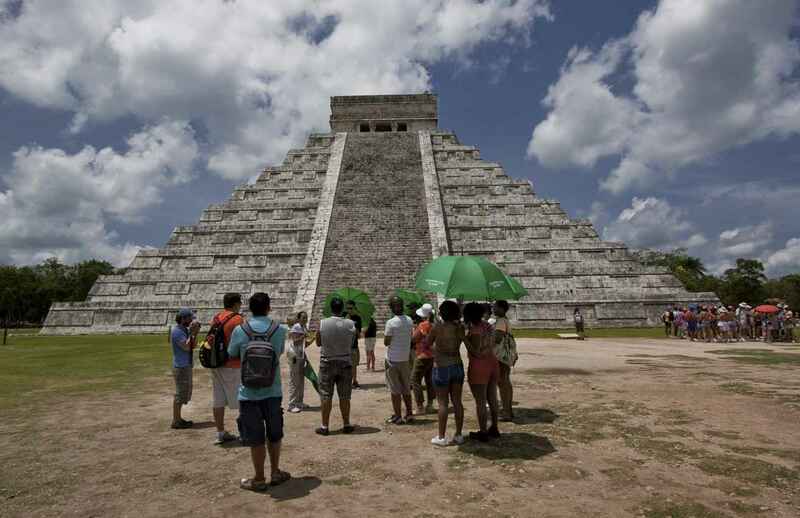 A group of tourists and a tour guide gathered in front of El Castillo pyramid. 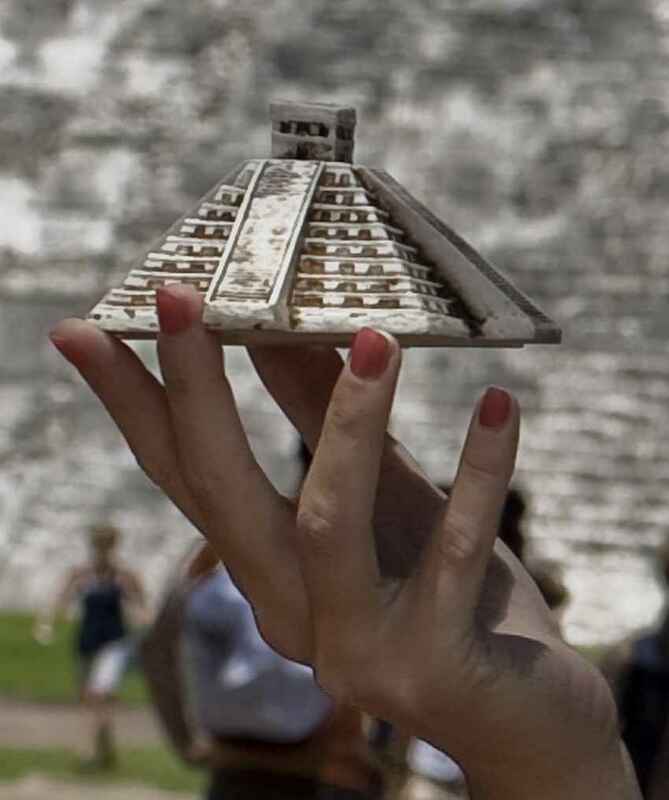 Another group of tourists standing in front of the large pyramid El Castillo. 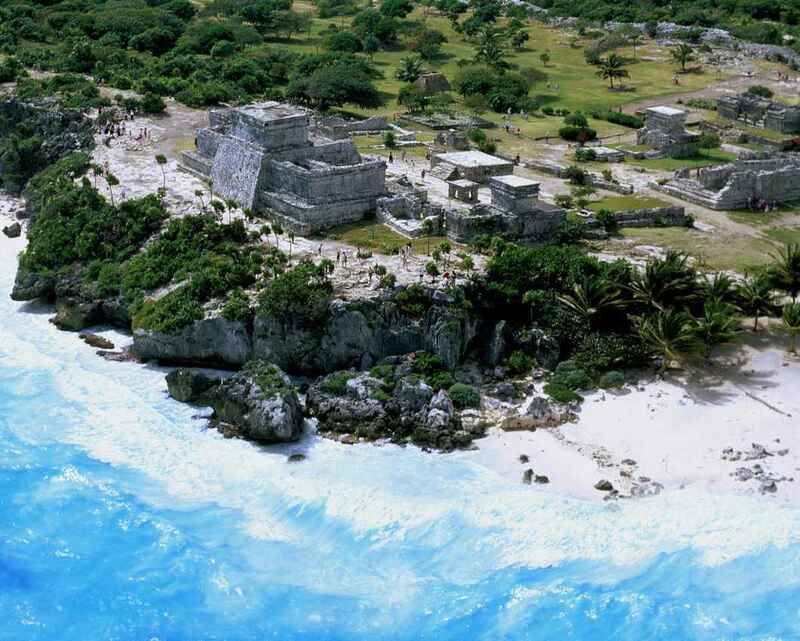 Some partially destroyed Mayan ruins. 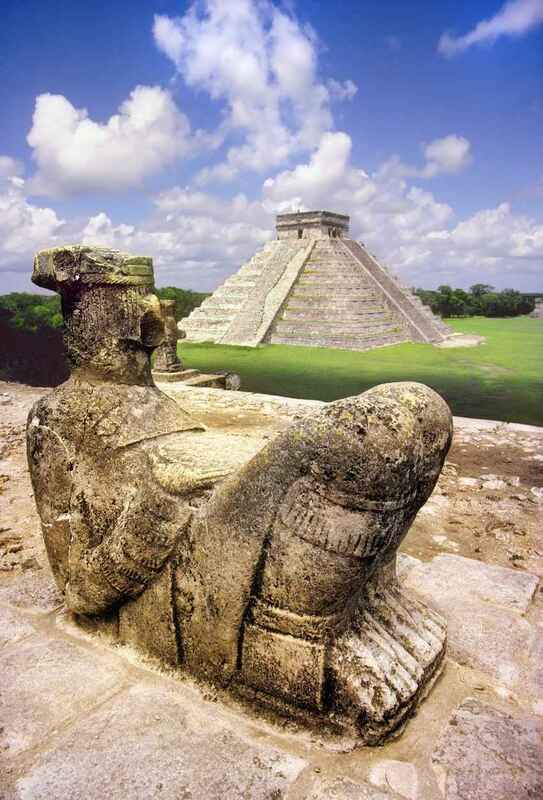 A statue of a Mayan king near one of the large pyramids. 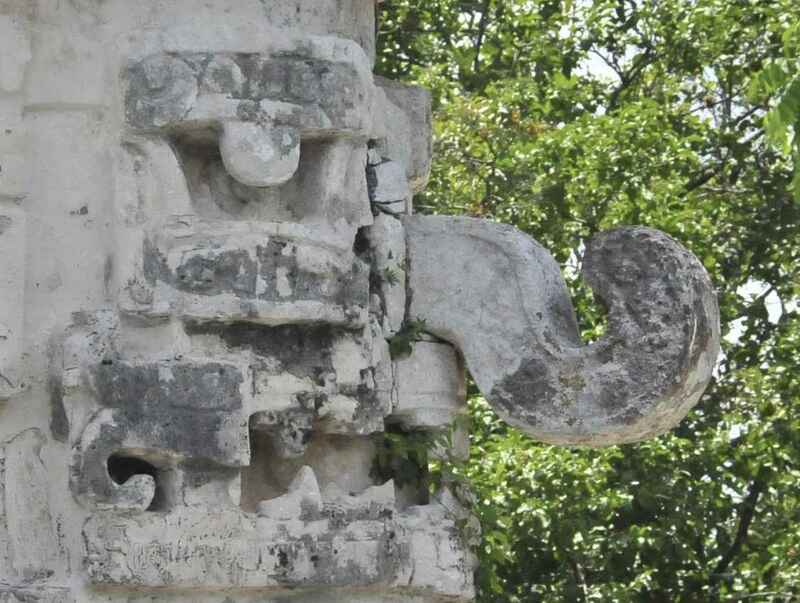 A strange and scary Mayan face on the side of the ruins at Chichen Itza. Two couples walking around the ruins on a sunny day. 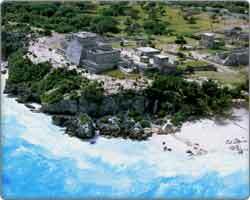 An aerial view of the front of the Tulum ruins and beach. 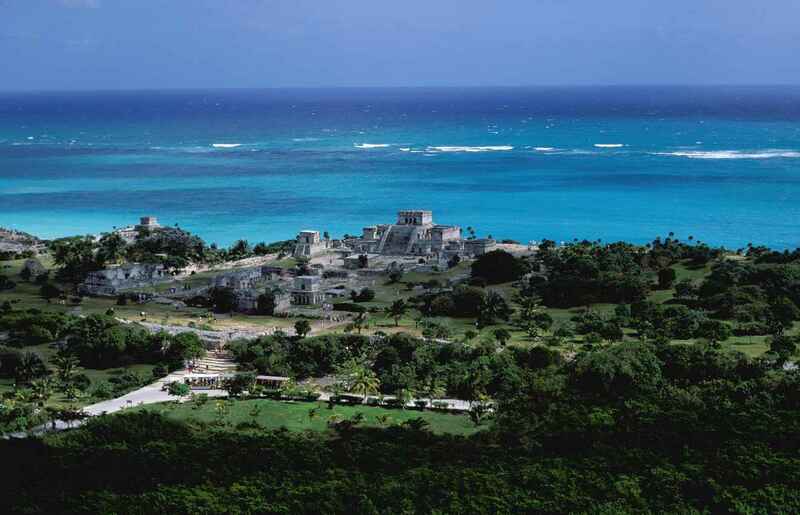 An aerial view of the Tulum ruins with the Caribbean Sea in the background. 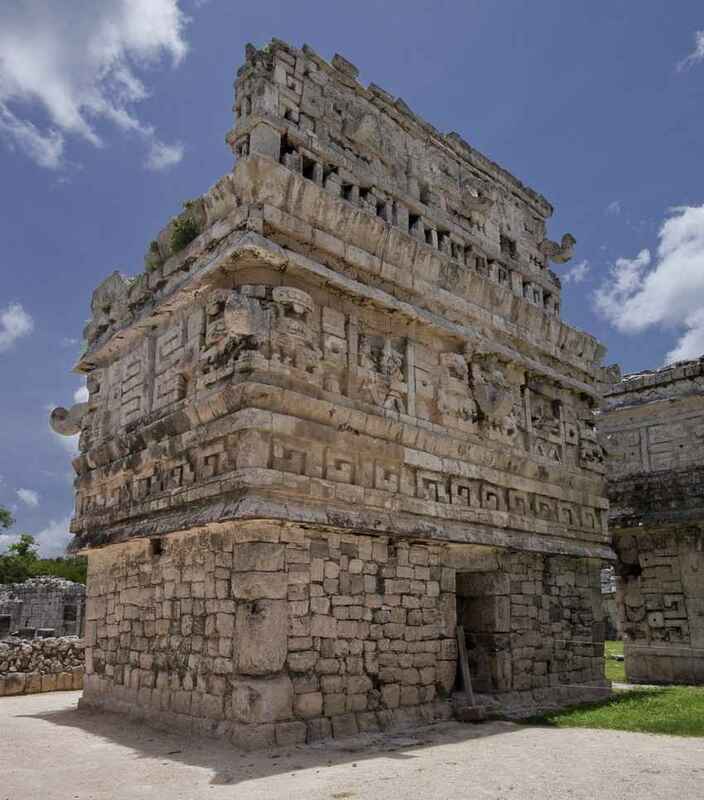 An ancient Mayan structure at the Tulum ruins. 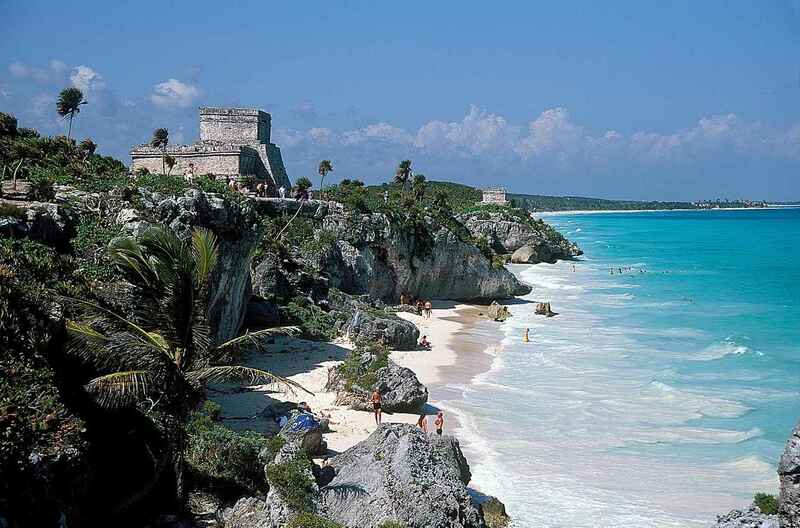 The beach with crystal clear blue water near the Mayan ruins. 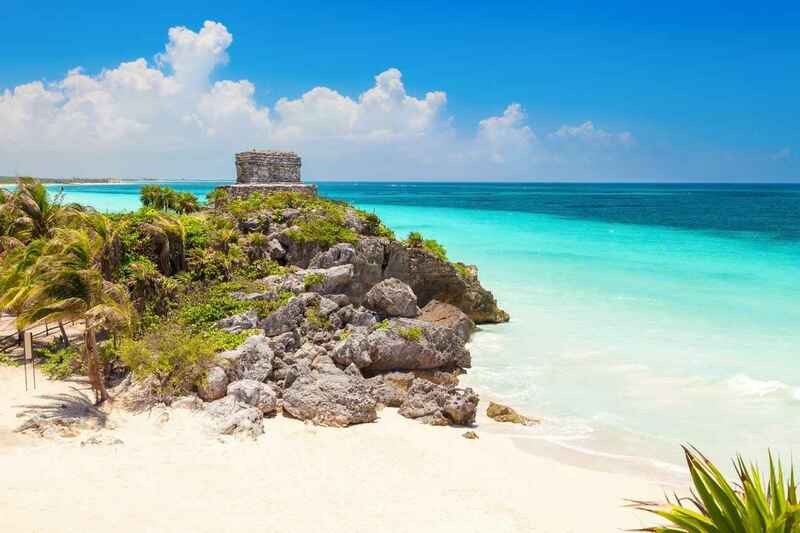 Crystal clear blue waters next to the Tulum ruins and beach. 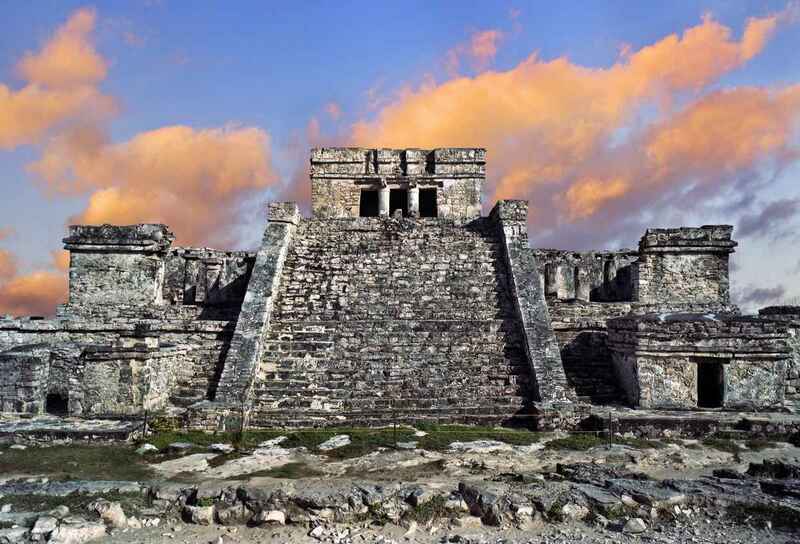 An extended portrait of the Mayan ruins at sunset. 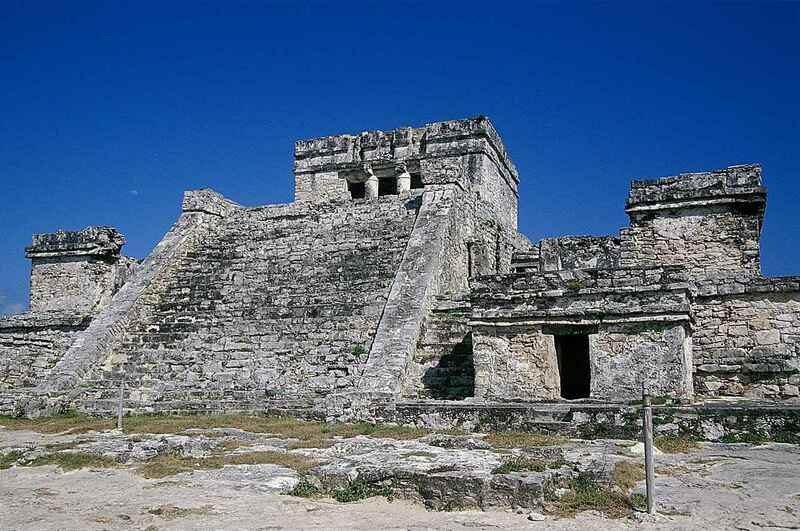 A front view of an ancient Mayan pyramid in Tulum. 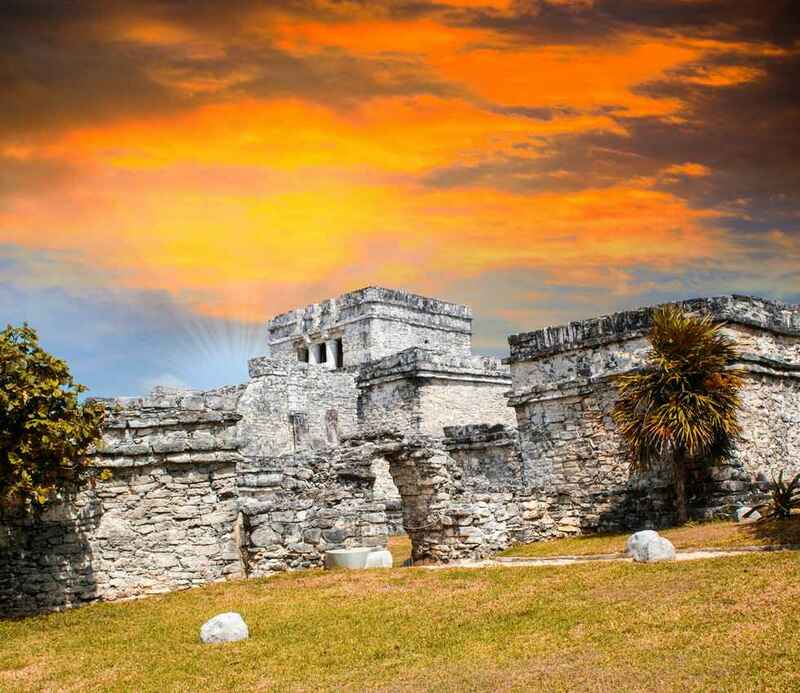 The Mayan ruins at Tulum with a beautiful sunset sky in the background. 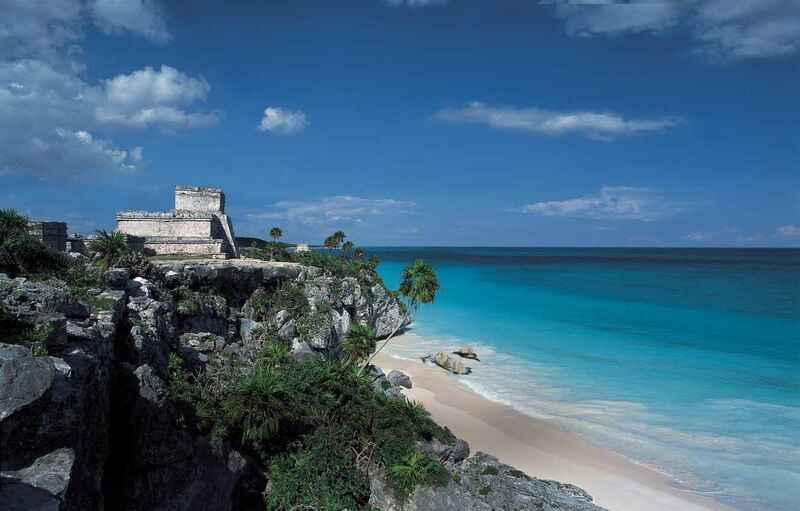 A second side view picture of the Mayan ruins near the beach. 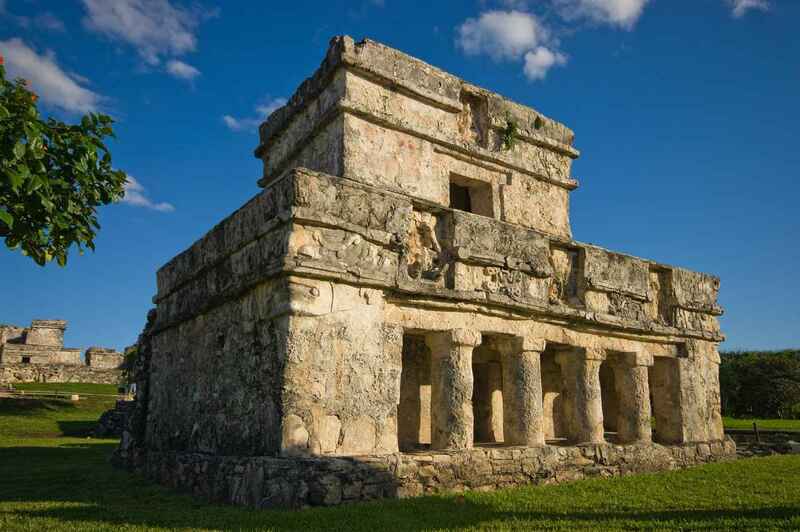 A small Mayan pyramid at the Tulum ruins. 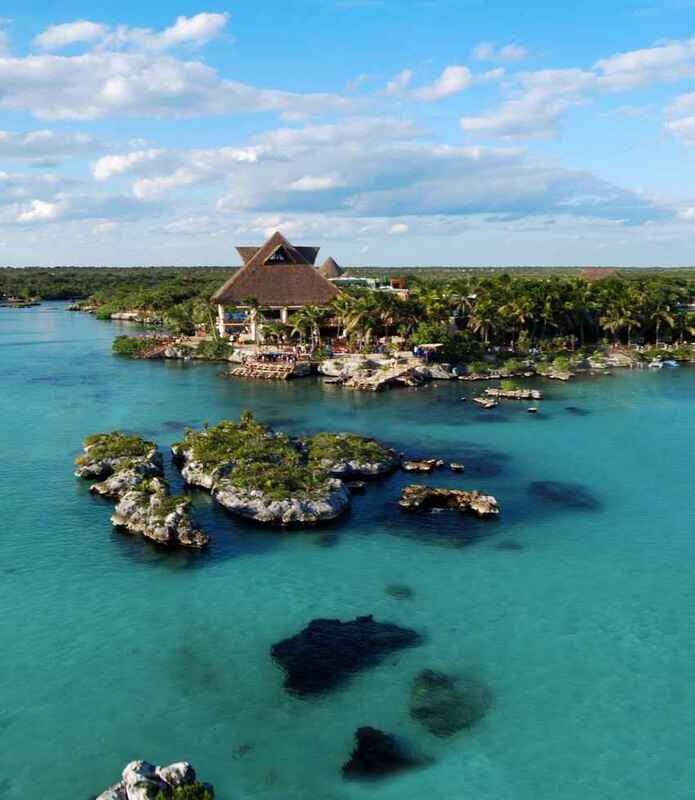 An aerial view of Xcaret. 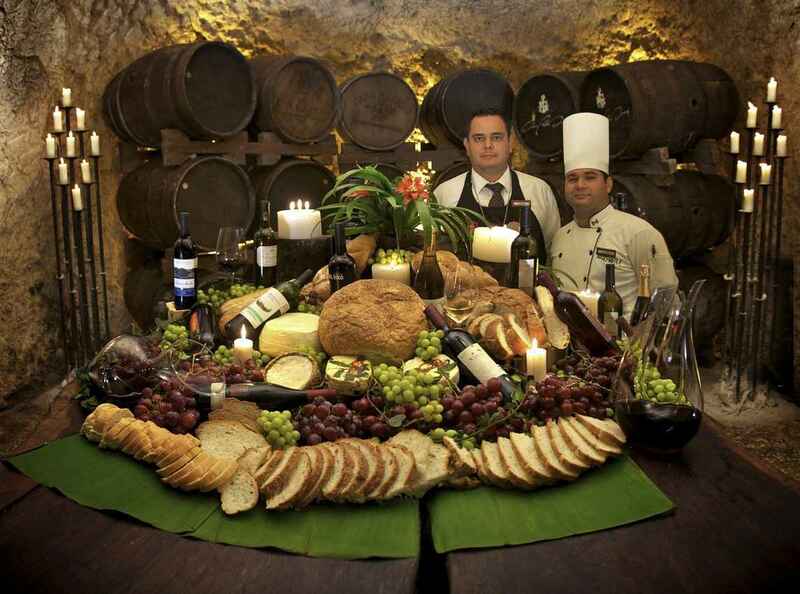 A table with food inside the winery at Xcaret. 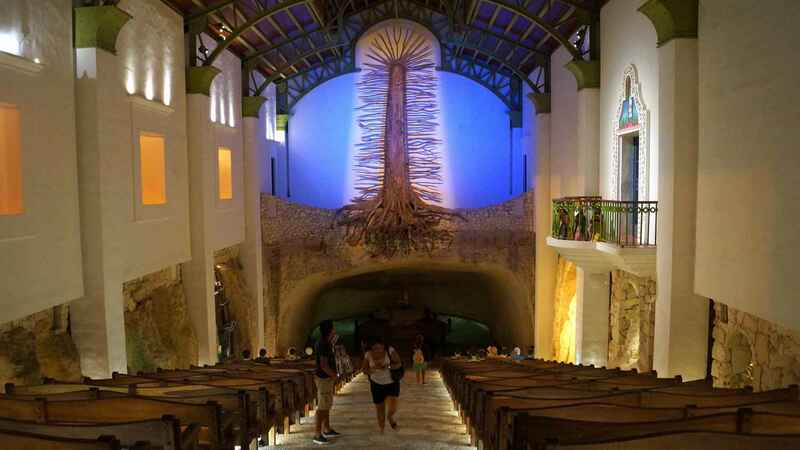 Inside the famous church at Xcaret themepark. 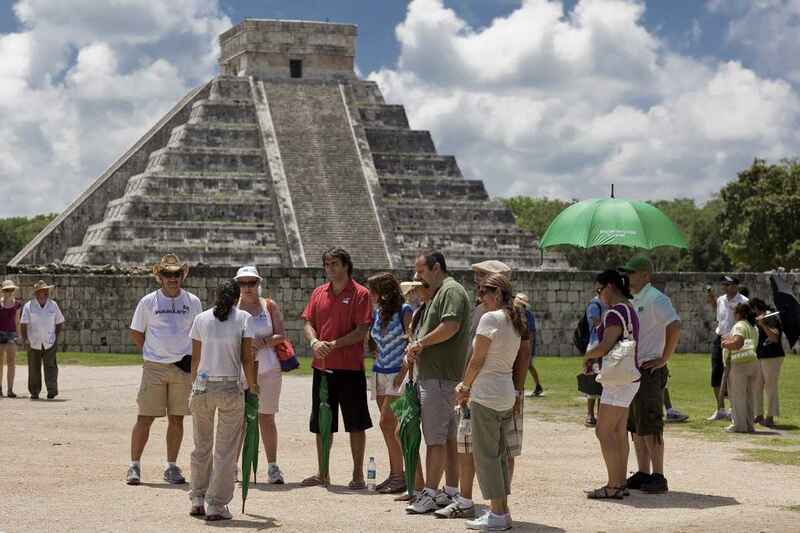 A Mayan cleansing ceremony being performed on several tourists. 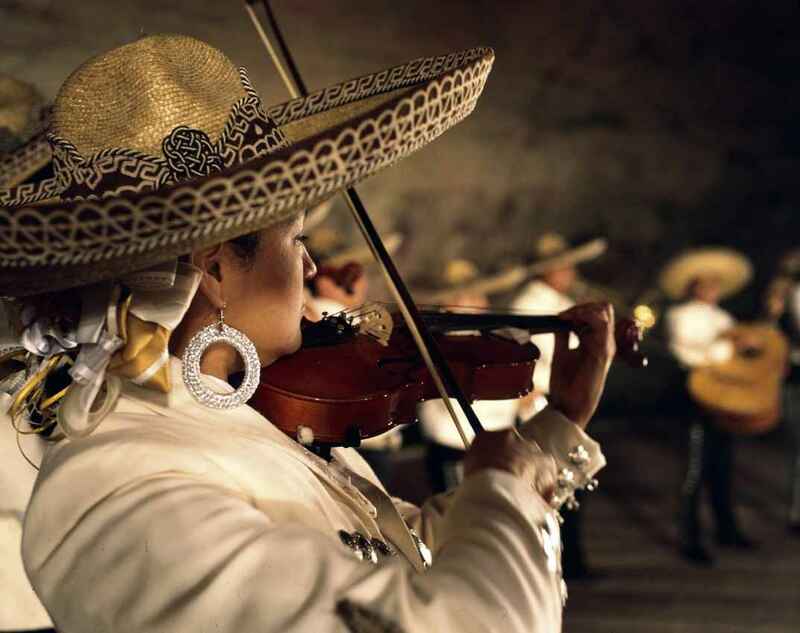 A Mexican woman wearing a sombrero and playing a violin. 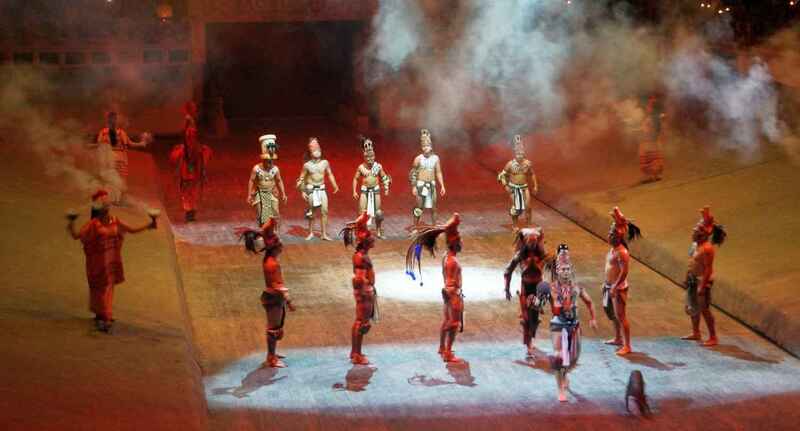 A traditional dance and ritual performance in the Xcaret Stadium. 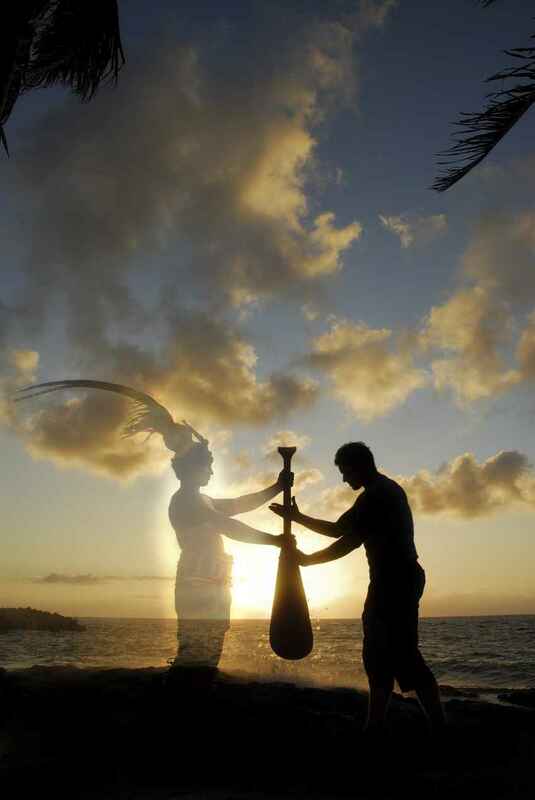 A reenactment of an ancient Mayan ritual and dance. Safety lockers for themepark visitors. 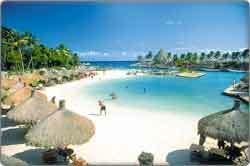 The beautiful snorkeling and beach area. 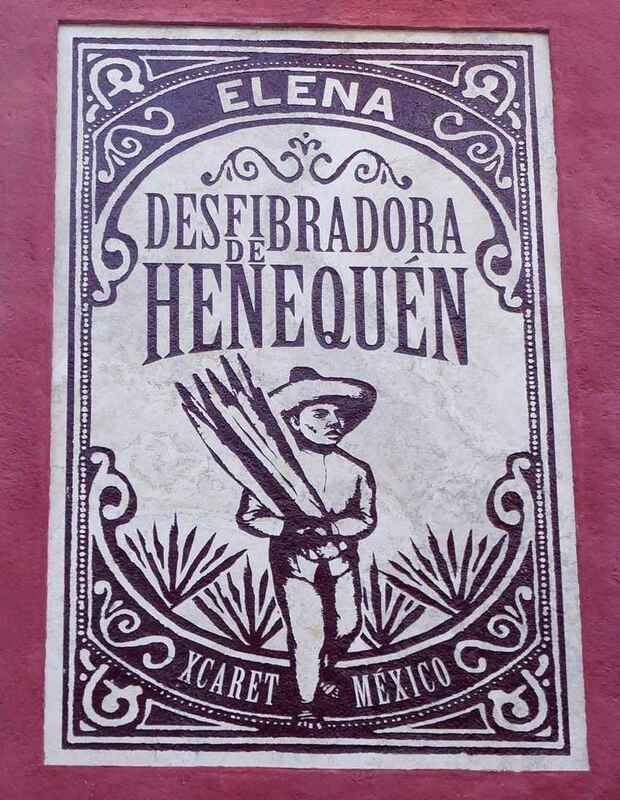 A sign written in Spanish on a wall in Xcaret. 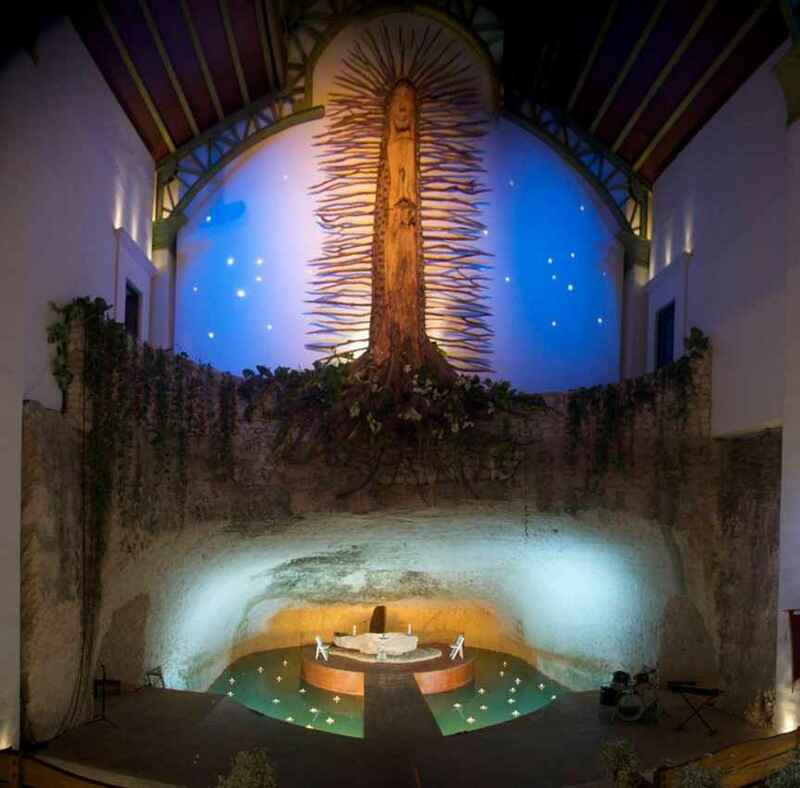 A symbolic Mayan tree inside of the church at Xcaret. 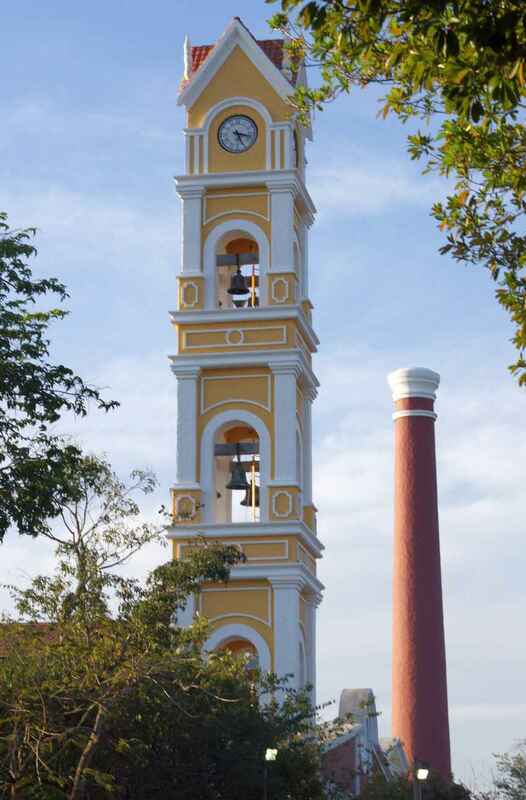 A tower in the themepark. The winery logo on the floor. 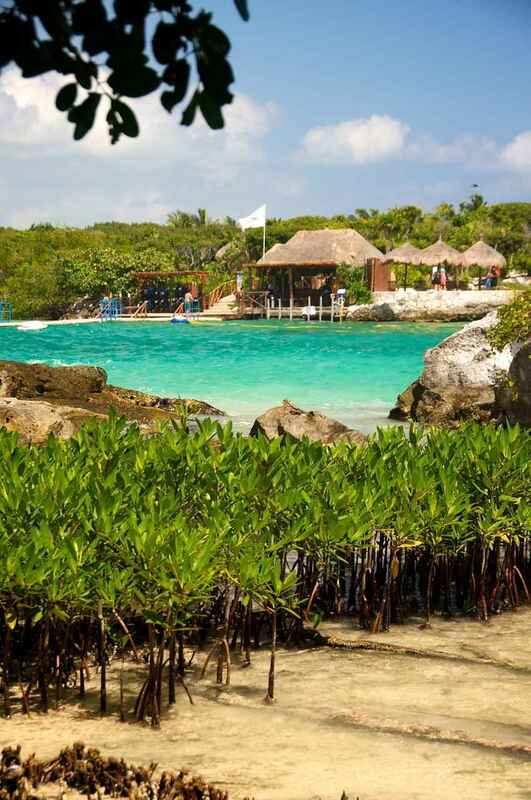 The famous Xcaret beach area. 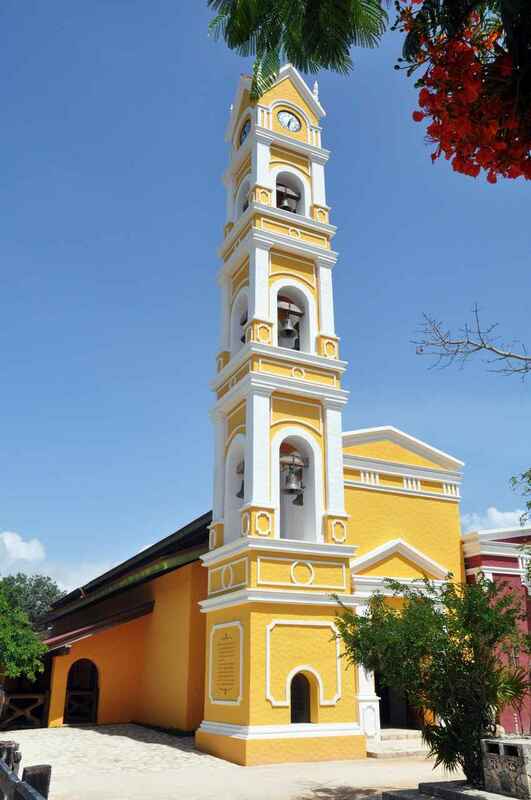 A tall yellow and white tower dominates the area skyline. 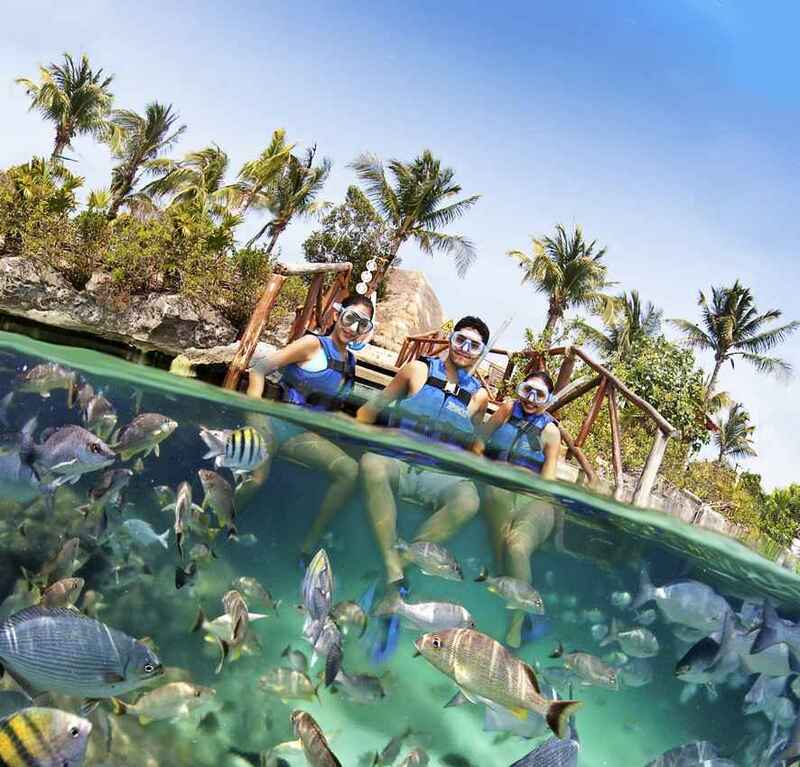 Xel-Ha is the second most popular of the X-Parks. 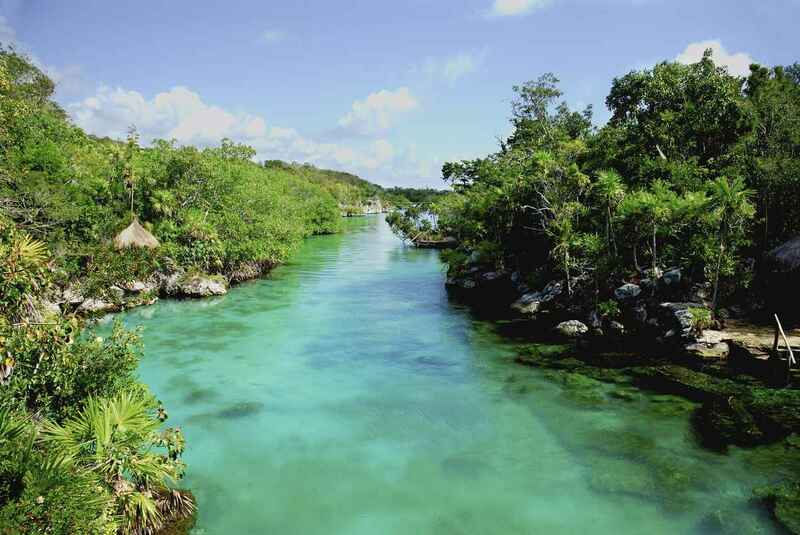 Xel-Ha is the world’s largest natural aquarium – and believe me, IT’S HUGE!!! 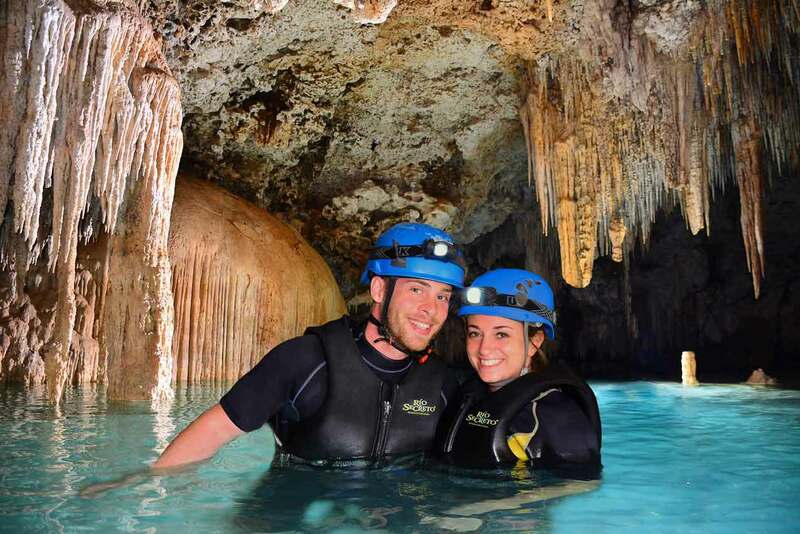 At Xel-Ha there are many, many things to do, from simple snorkeling to over-water zip lines. 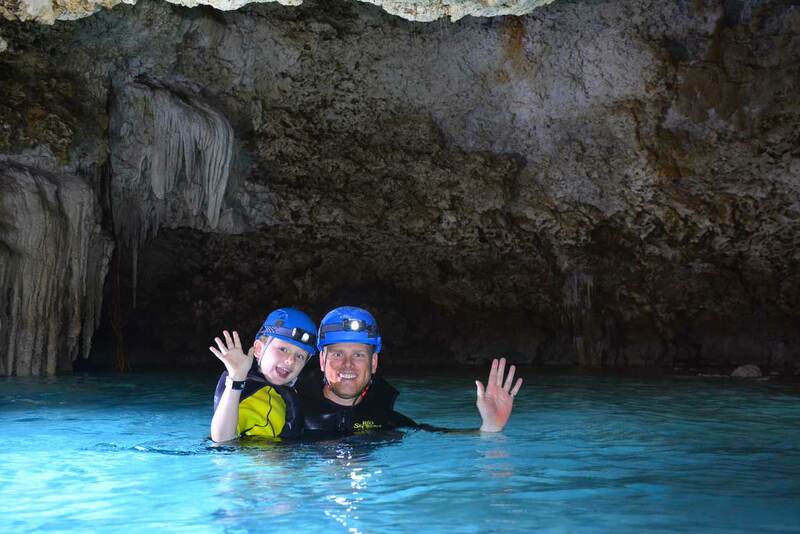 You can swim, eat, drink, visit lagoons, and even swim in cenotes. 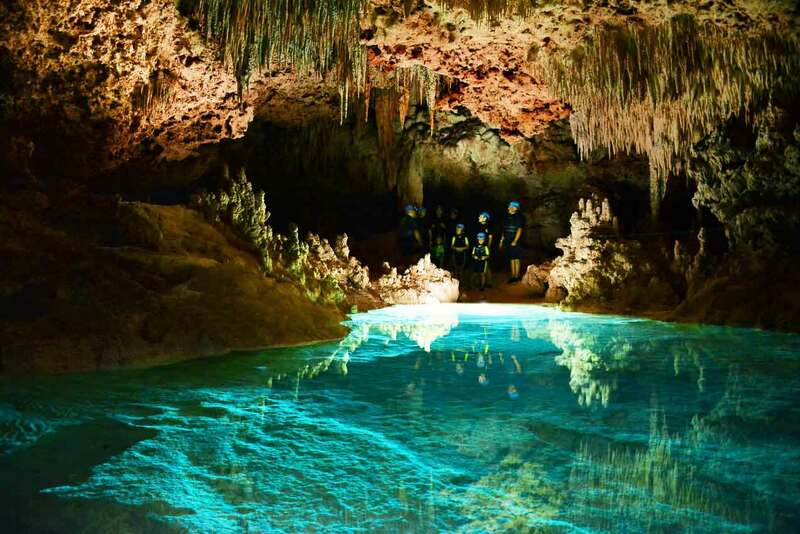 All of this takes place in breathtaking blue water that pictures just can’t replicate. 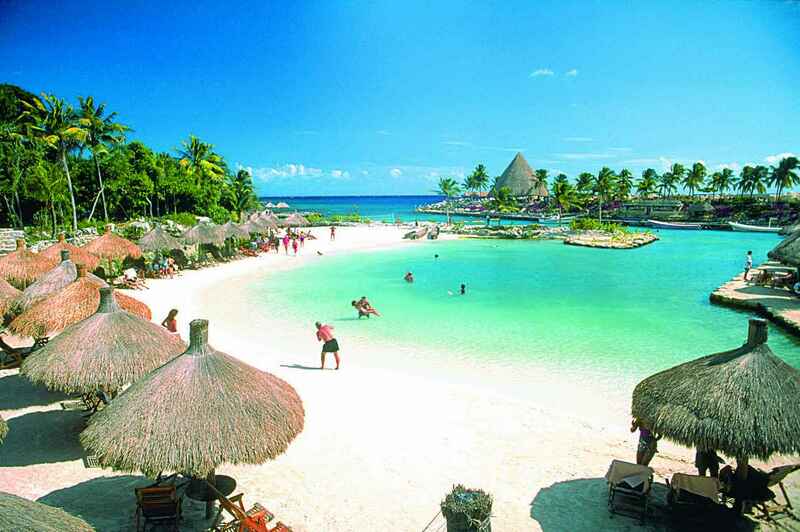 The beautiful water and beach surrounding the area. 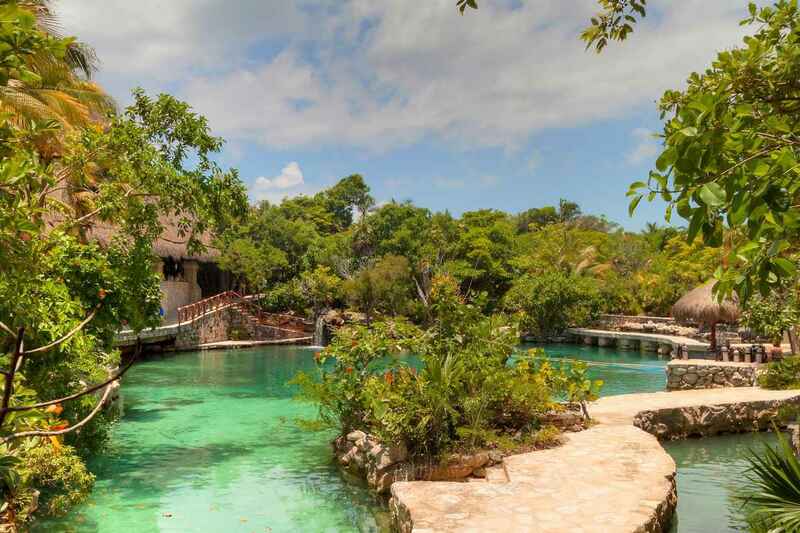 The flamboyant entrance to Xel-Ha themepark. 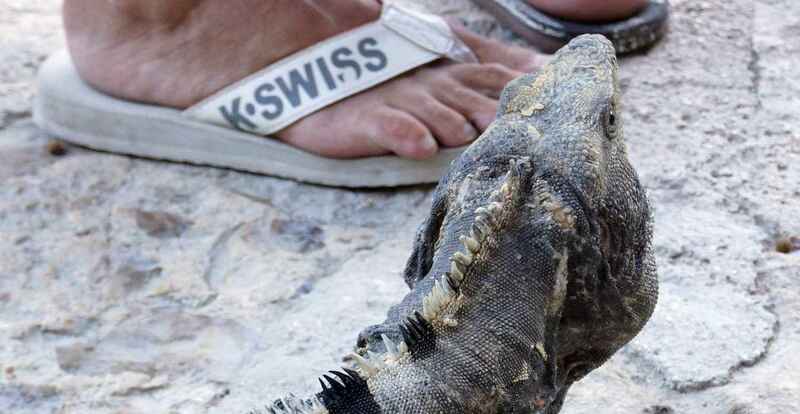 An iguana standing on a walkway near several tourists. 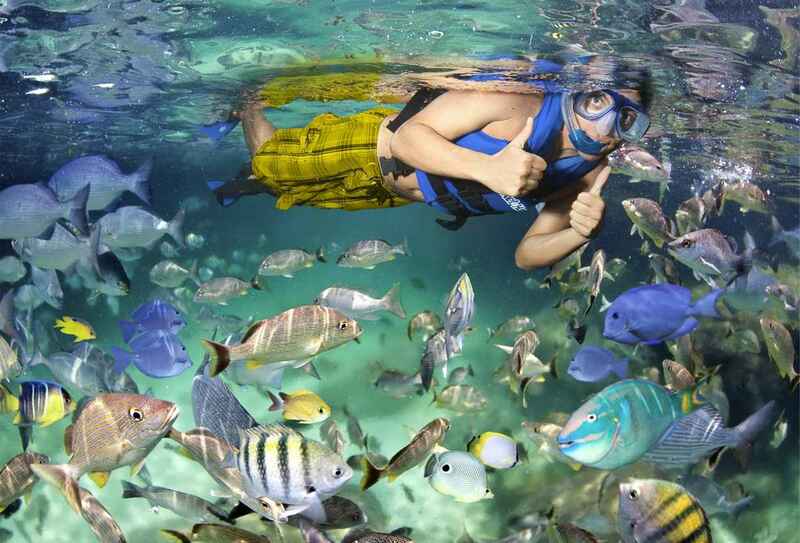 Xel-Ha themepark is the largest natural aquarium in the world. 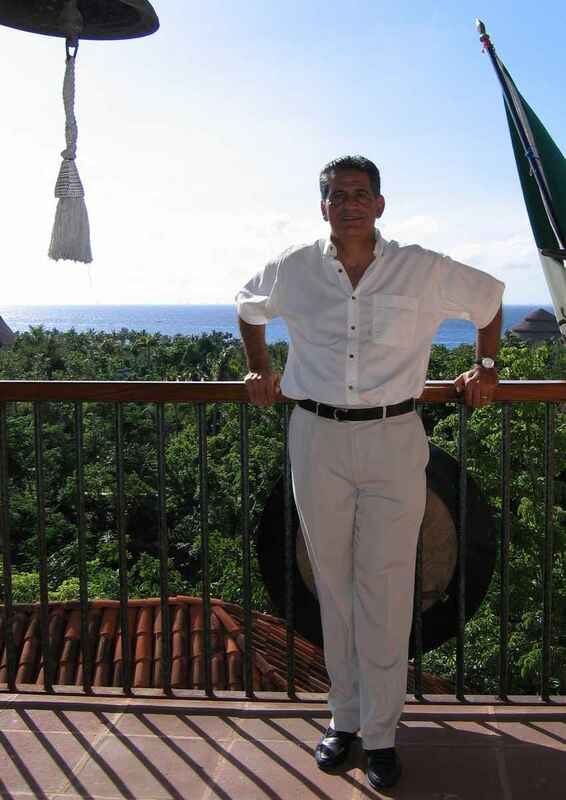 A man and several women sitting on some stairs at Xel-Ha. 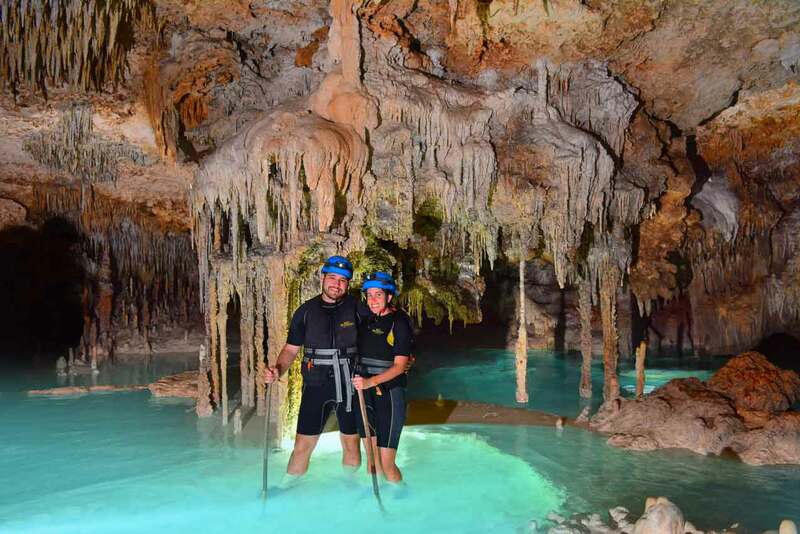 A man and a woman walking along a double rope line above the water. A man jumping off the famous "Cliff of Courage." 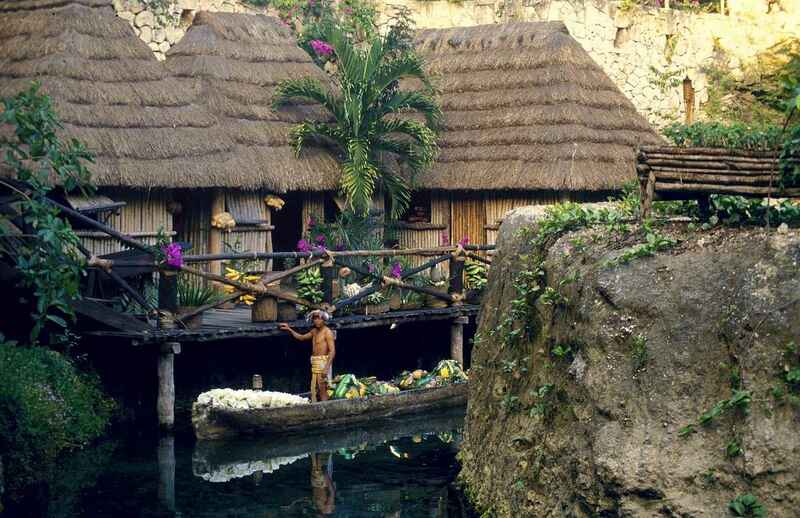 A Mayan man sitting in the canoe near several villas. The owner of all the X-Parks. 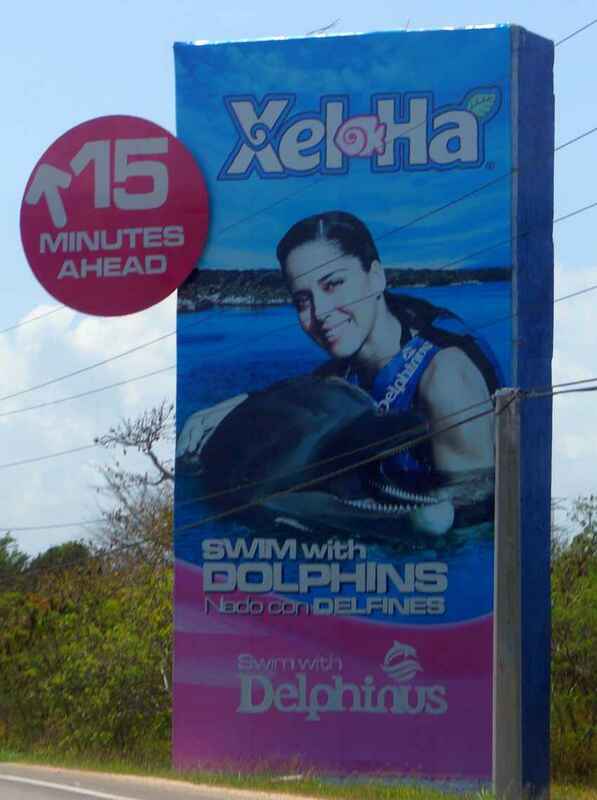 A road sign on the way to Xel-Ha themepark. 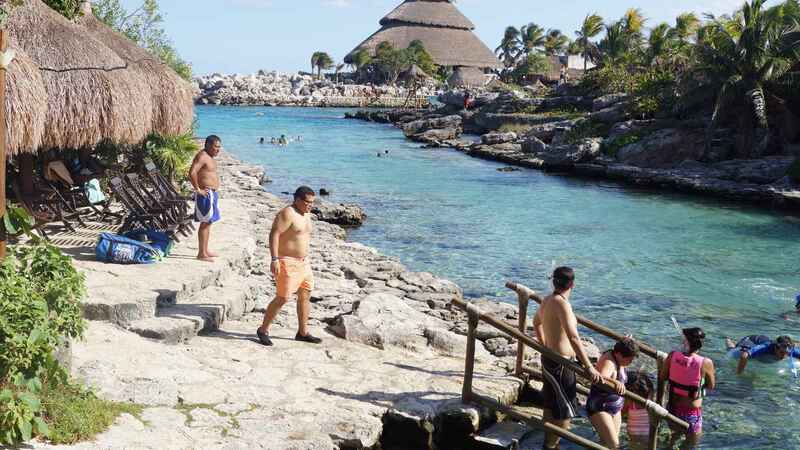 Several people snorkeling and swimming at Xel-Ha. 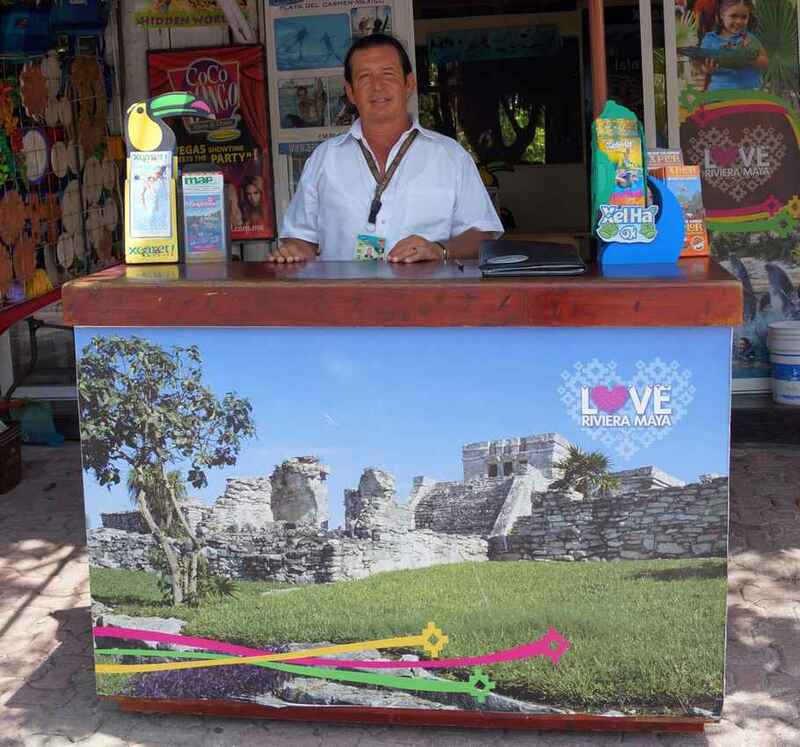 A tourist kiosk selling theme Park tickets. 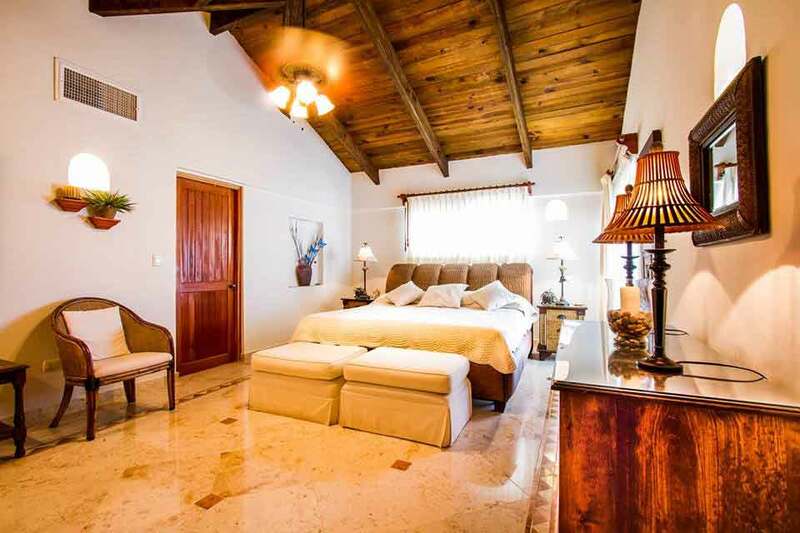 Beautiful villas for rent at Xel-Ha. 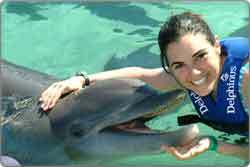 A woman snorkeling at the park. 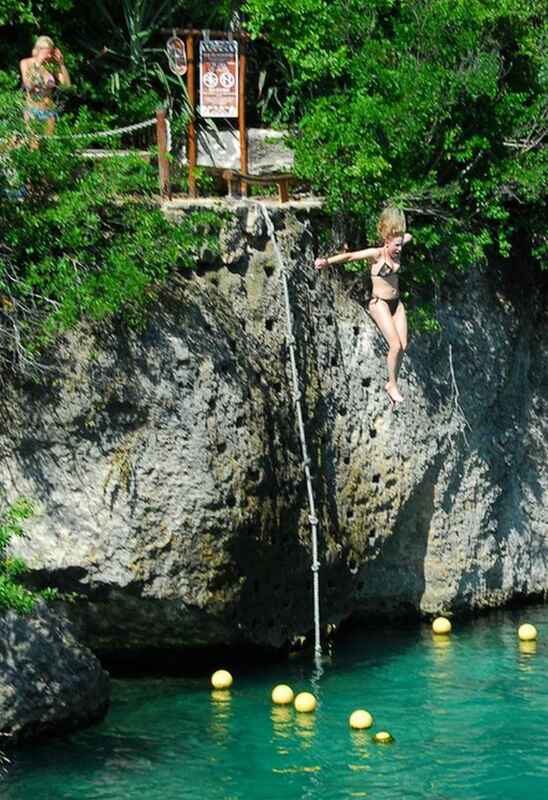 A young woman walking down the double ropes over the water. 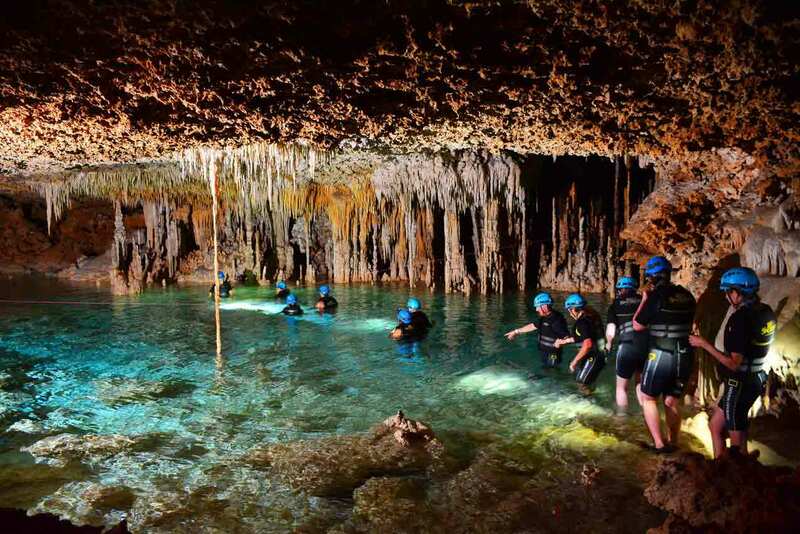 A group of visitors swimming in an underground cave at Xplor themepark. 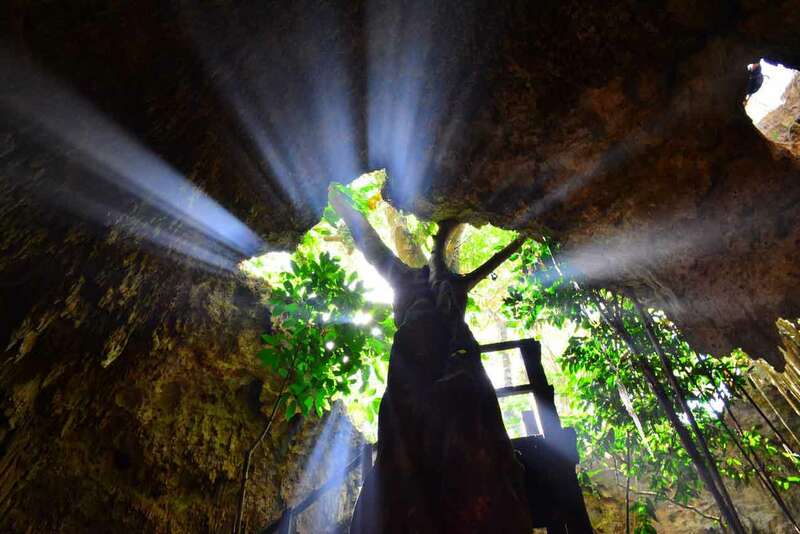 A view from the inside of a well lit cave. A picture collage of the various different activities available at Xplor. 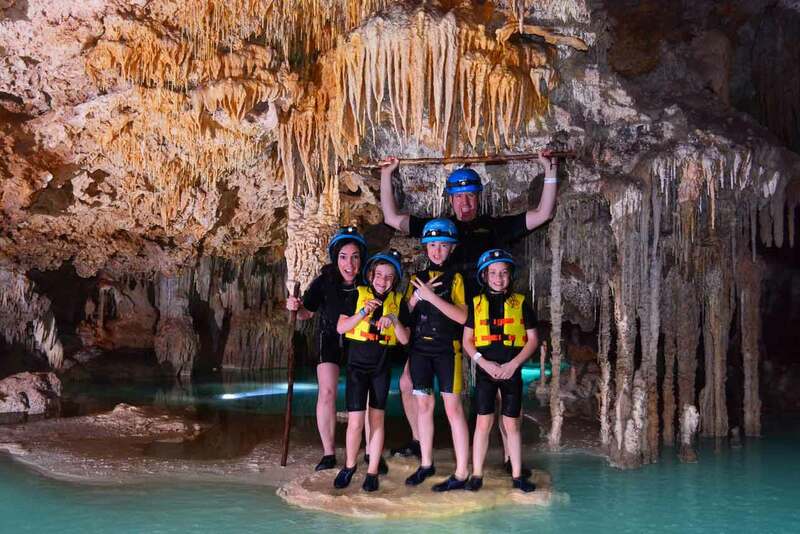 A picture of several activities that are available at Xplor. 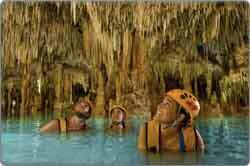 Several people with life jackets who are swimming in a large cenote. 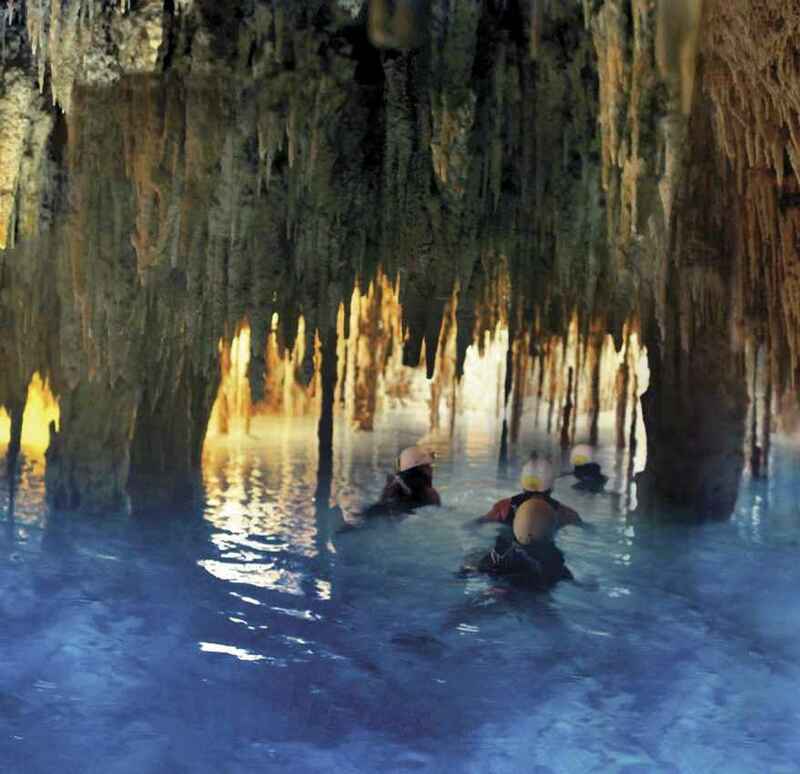 Several tourists swimming in a cenote cave. 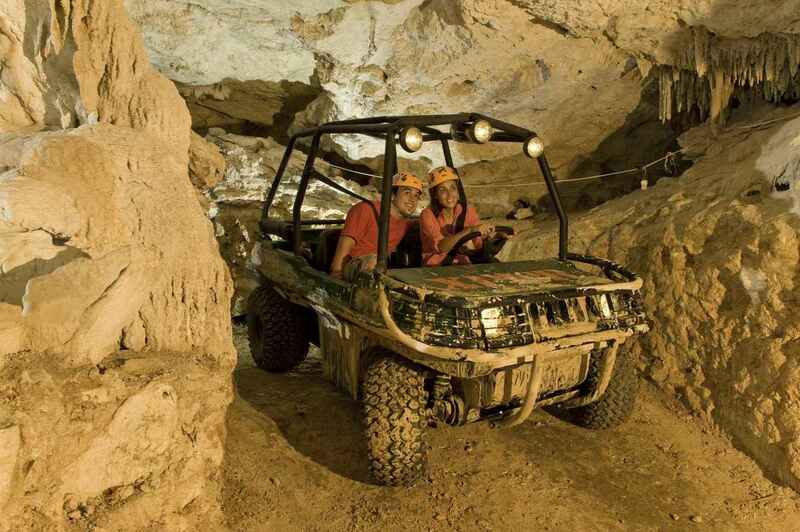 Two people riding in an amphibious vehicle. 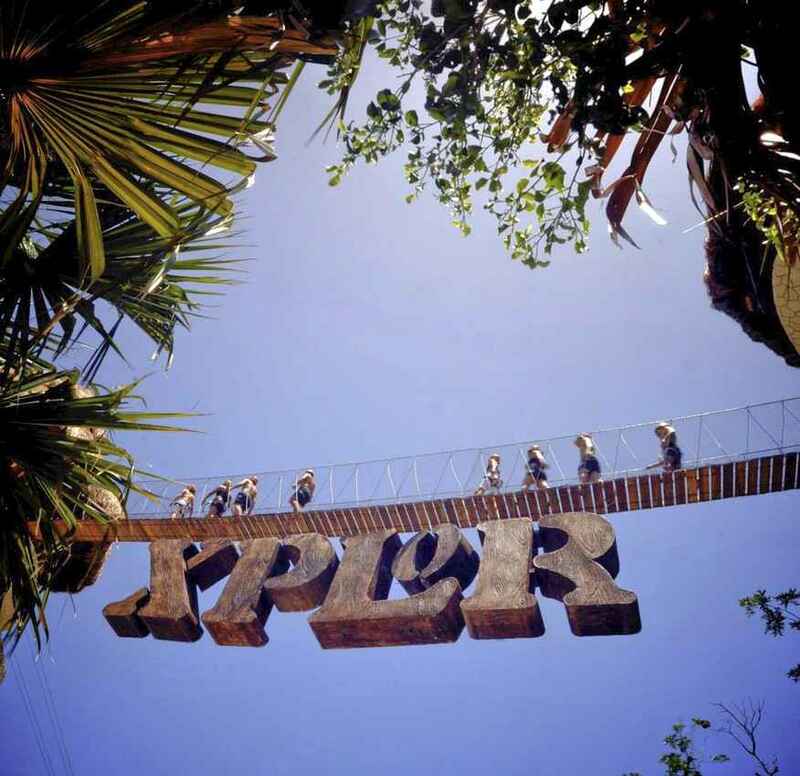 The Xplor theme park entrance. Of course the list above is not comprehensive and definitely doesn’t take personal tastes, phobias, etc into consideration. However, I think it’s a great place to start. I hope the list helped!!! “So, Why Am I Hearing So Much BUZZ About This Website?” – A BIG FAT THANK YOU! I received several emails from visitors over the last few months. However, these were not normal emails. They were emails telling me that that they heard about this website through a friend. They mentioned how much they liked it. Finally, they asked me WHY there is so much buzz surrounding this website. 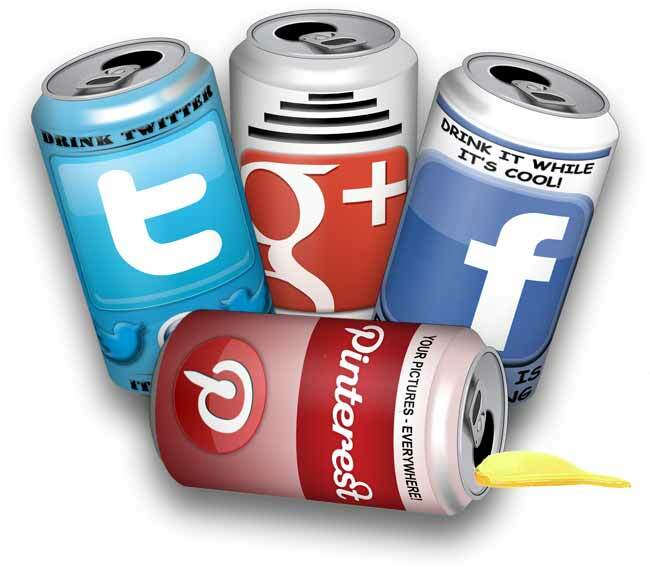 Those are the real reasons this site is getting the attention it has received! So I just want to take a moment and say THANK YOU! Thank you for the comments, questions, and inquiries. I really enjoy hearing from every one of you!!! 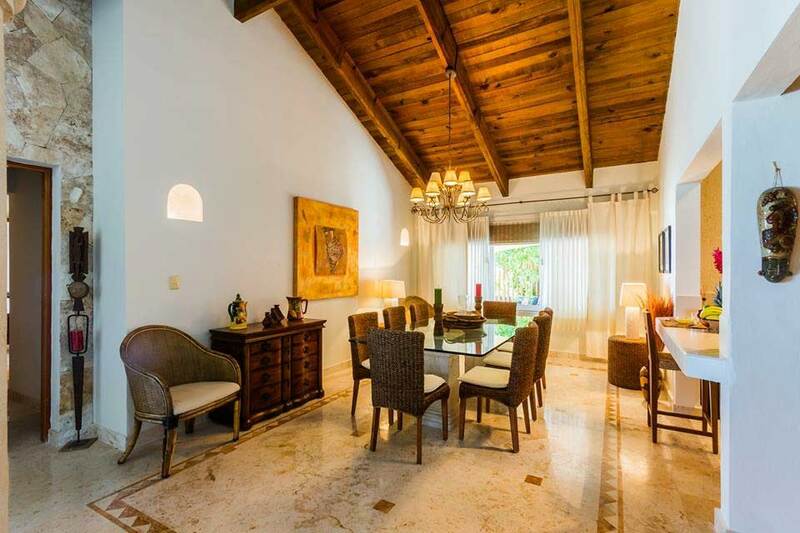 Playa Del Carmen is close to Cancun and easily accessible via the Cancun International Airport. There are flights here from every major hub in the US/Canada/Europe, so getting here without too much time at airports is usually not a problem. 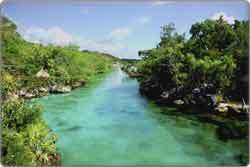 IMPORTANT: Look for Cancun International Airport when pricing tickets. You will NOT fly into the Playa Del Carmen airport. 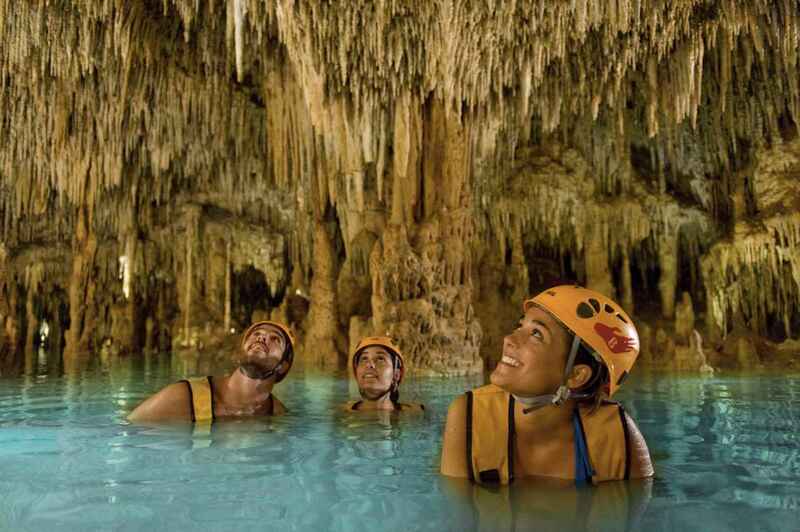 You will first fly into Cancun and then take a 45-minute ground transfer to Playa Del Carmen. Many first-time, inexperienced visitors are confused by this. Did the same thing happen to you? So, what is the solution? 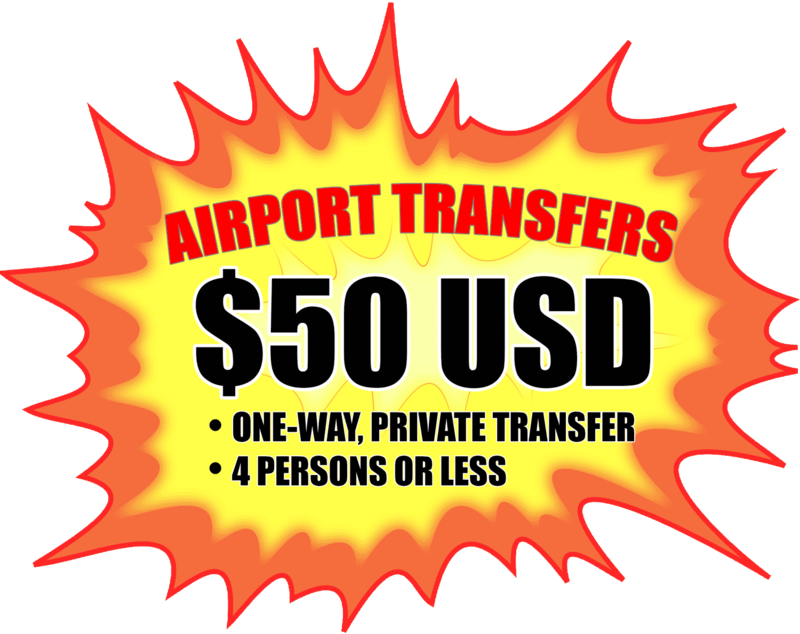 – A CHEAP, BUT PRIVATE AIRPORT TRANSFER!!! Here is the full price list, and I strongly suggest you compare the prices here to other service providers. 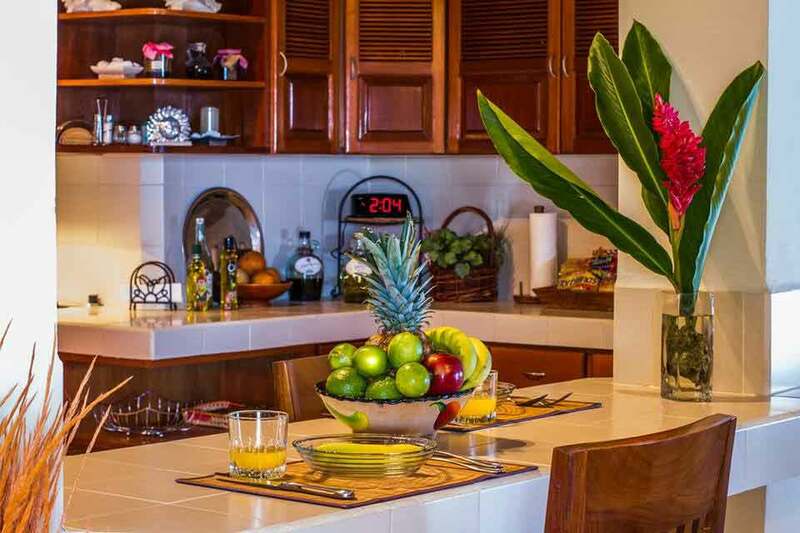 You will see that these are the best prices in the area. With that said, fill out the form below and Oscar, my airport transfer guy, will get back to you as soon as possible. I have tried to make this site as easy to navigate as possible. The menu near the top provides access to the most important pages. In addition, I have included as many pictures of Playa Del Carmen as possible. I can still remember the day that I started investigating this city. The first thing that I looked for was images that captured the general atmosphere of the city. Next, I wanted to find information about the most popular activities here – not only information, but photographs of those activities as well. 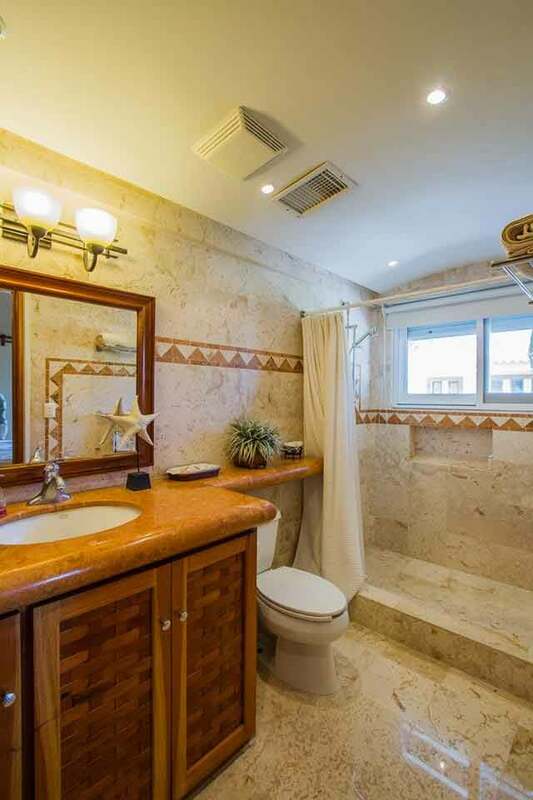 Although there were many pictures of Playa Del Carmen out there, there didn’t exist one single site that satisfied my curiosity. 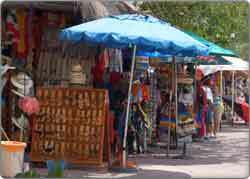 Consequently, on every page of this website you will find LOTS and LOTS of pictures of Playa Del Carmen! 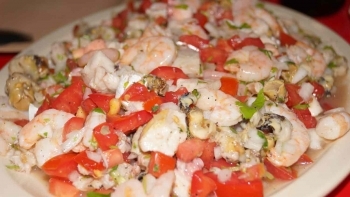 PLEASE NOTE: Most of the pictures on this website are enlargeable. Try clicking on any of the photographs in this column to see what I mean. I tried to make them large enough so that you could see the detail, but I also had to keep them at a reasonable size to accommodate all of the various browser resolutions and screen sizes that exist today. I hope you enjoy them, and as importantly, I hope you share some of your own photos as well! Believe me when I say you will have no problem whatsoever finding things to do around town. 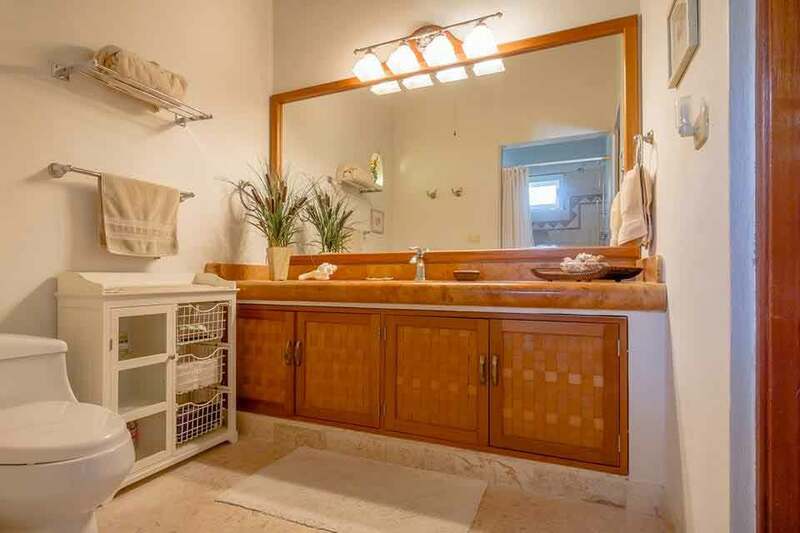 In fact, most people here are overwhelmed by the choices. Many groups divide themselves up during parts of their trip. 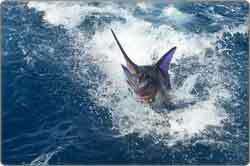 For example, the men go fishing while the women go shopping. 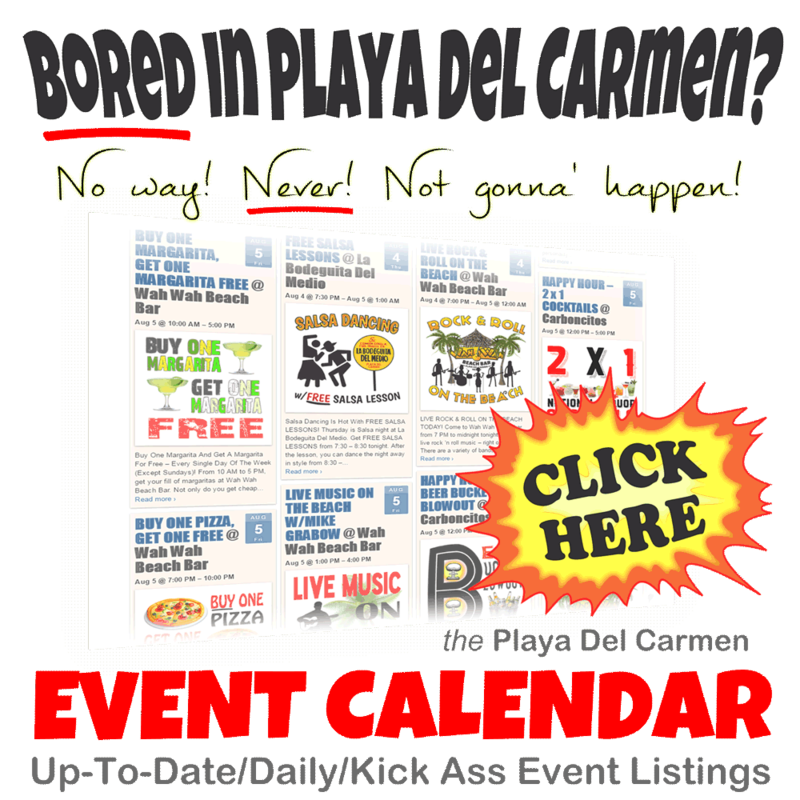 Despite this, I put together a Playa Del Carmen Events Calendar that lists a few of the daily/weekly/yearly events visitors enjoy. Although there is no way that I could list everything that happens on the Event Calendar, take a look at it to see if there are some things that look fun. 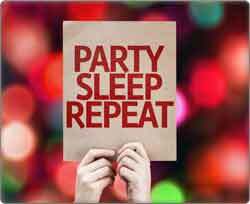 Also, if you are a restaurant/bar/club that offers a popular recurring activity that visitors rave about, please let me know and maybe I can add your event. 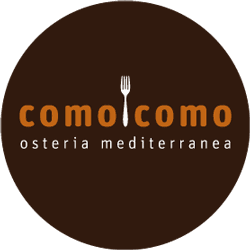 Explore this site, but more importantly – COME AND EXPLORE THIS CITY!!! 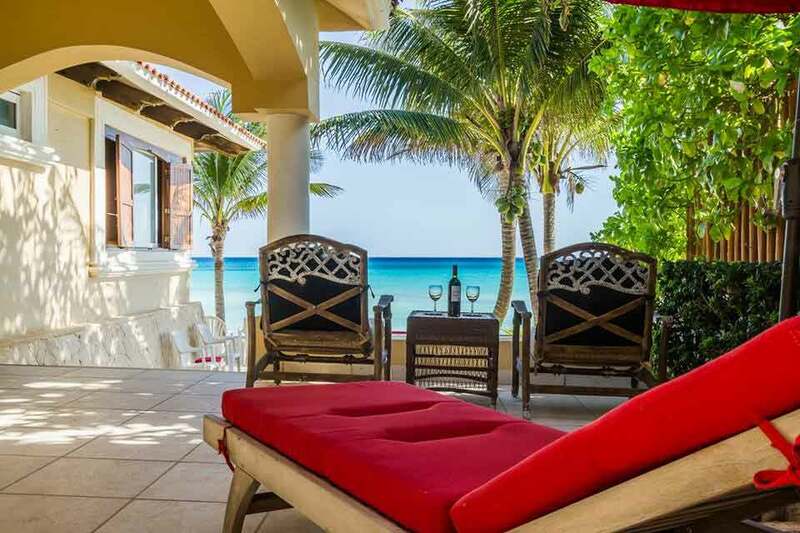 Playa Del Carmen is difficult to describe in words – even when you have pictures to help you out. The best way to experience the city is to come and visit it yourself. I can remember walking the beaches for the first time. It wasn’t so long ago that I was a tourist strolling along Fifth Avenue looking for souvenirs. 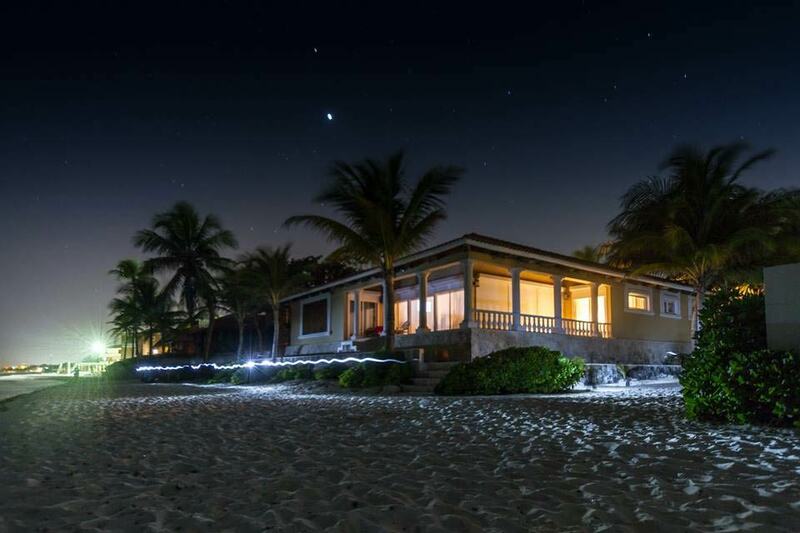 Since that time, I’ve fallen in love with Playa Del Carmen. Trust me when I say that it offers more than most destinations. 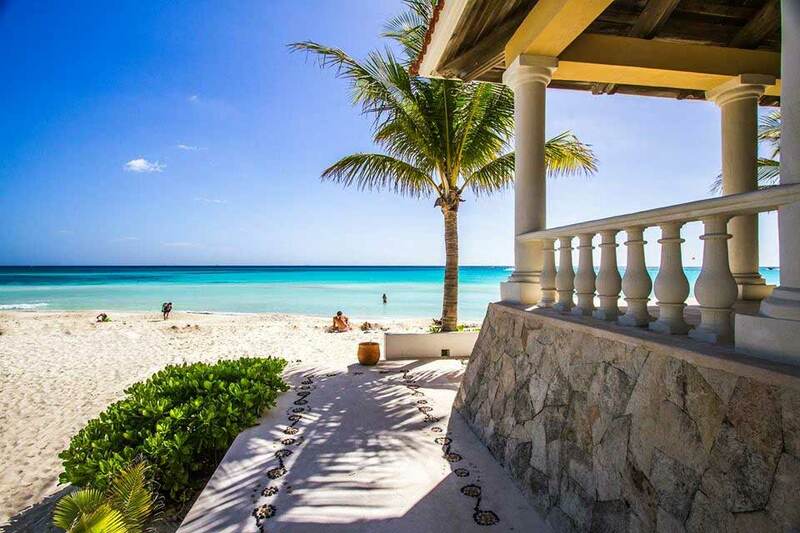 With a touch of history, baby blue waters that splash along white sand beaches, and a nightlife that is extraordinary but not overwhelming, you simply can’t go wrong. 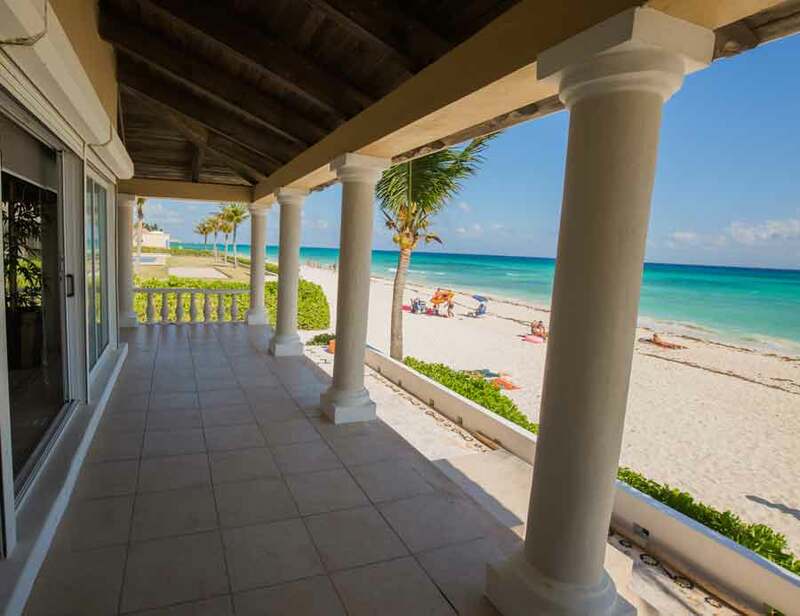 Like me, you may not want to leave at the end of your vacation!!! 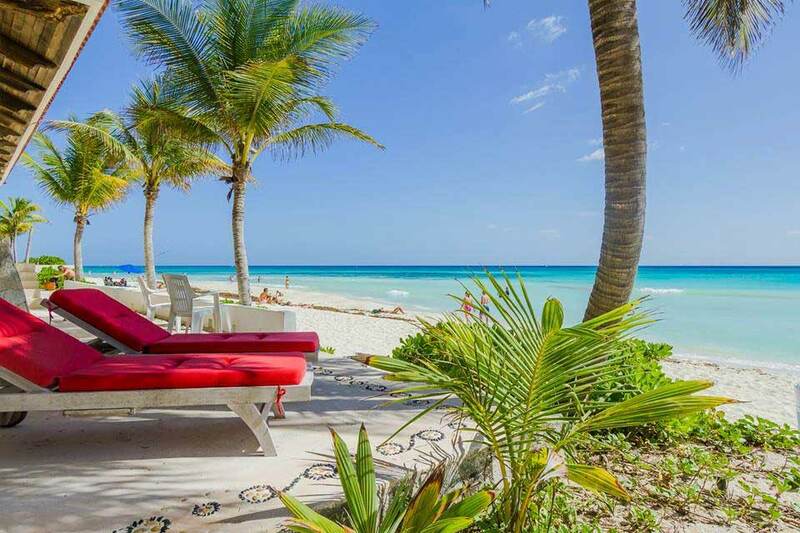 I hope to see you soon, and I hope Playa Del Carmen has the same effect on you as it did me!